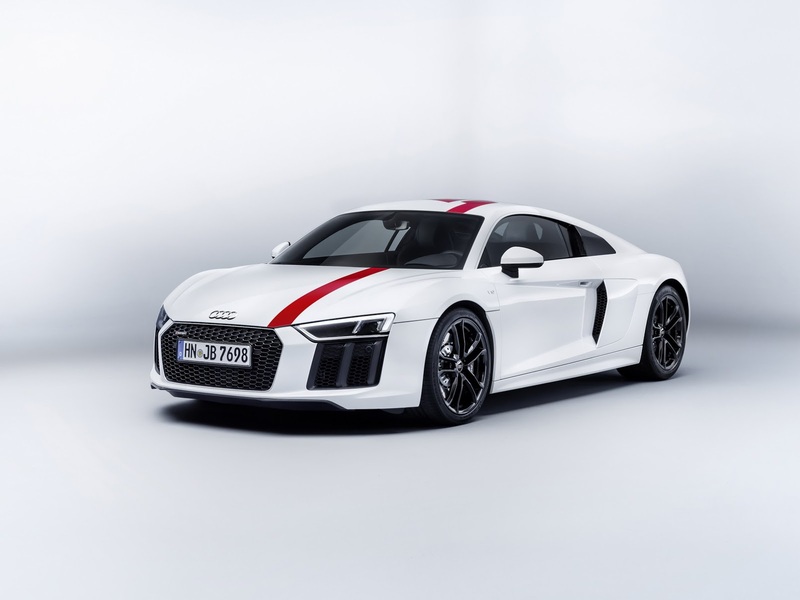 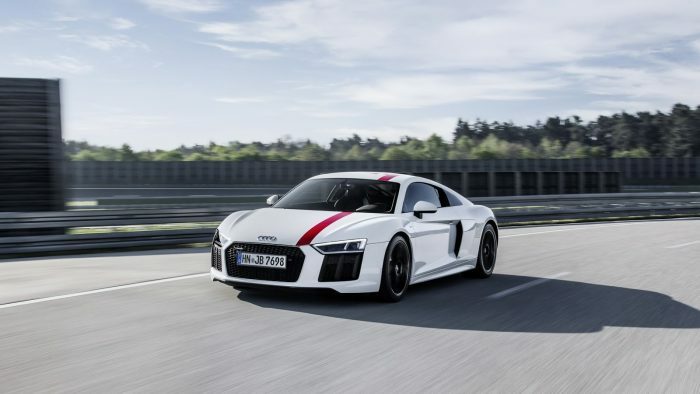 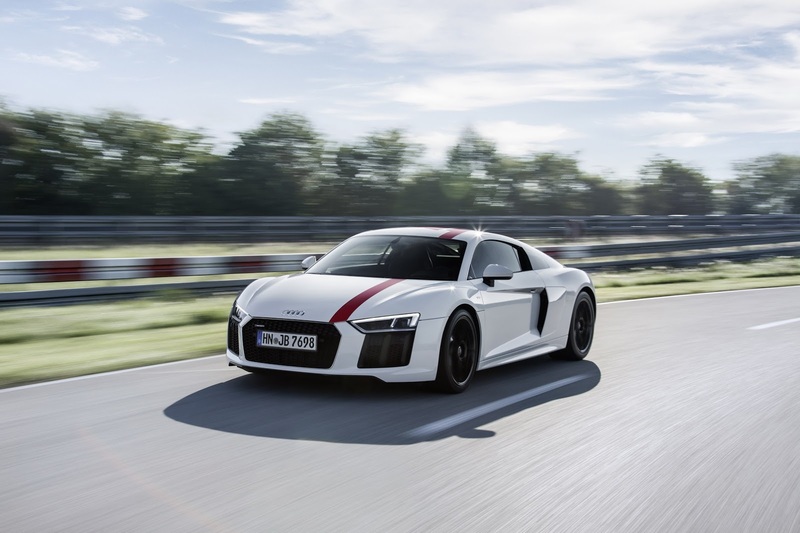 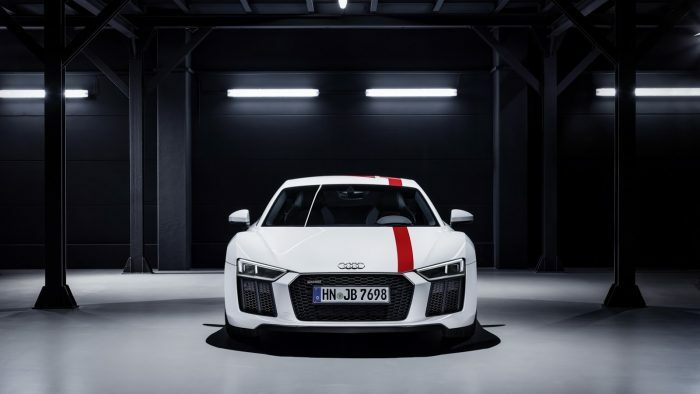 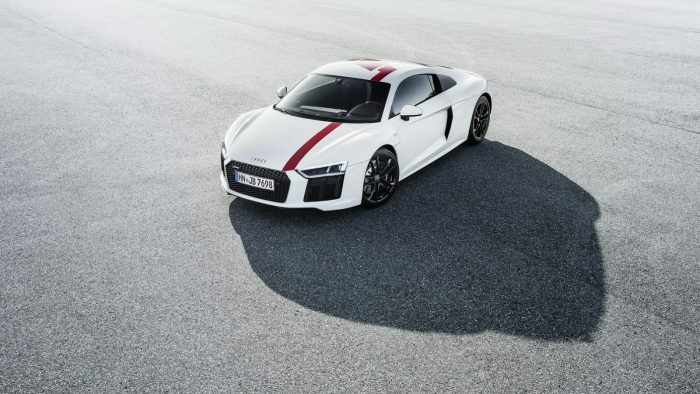 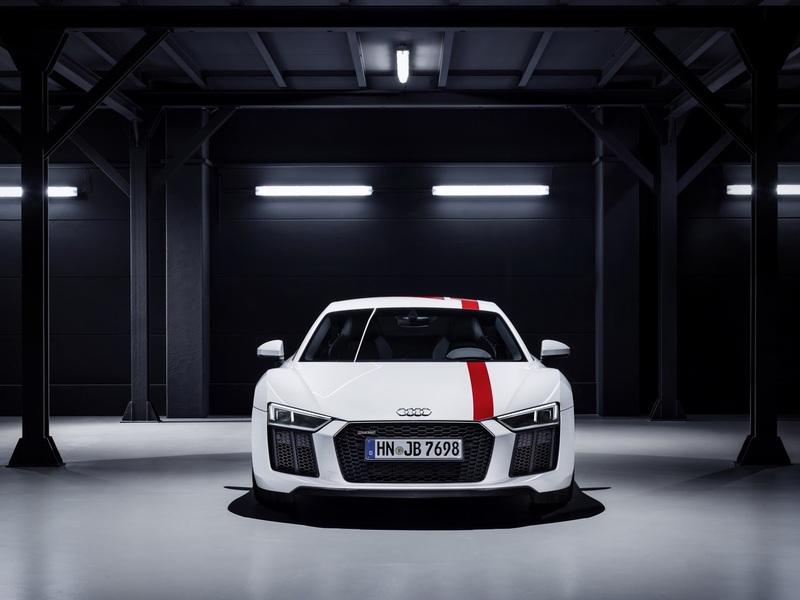 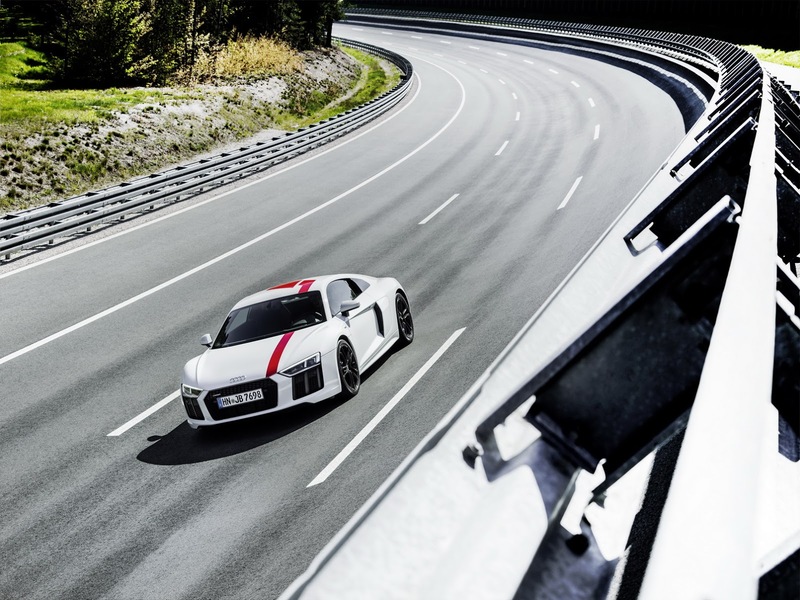 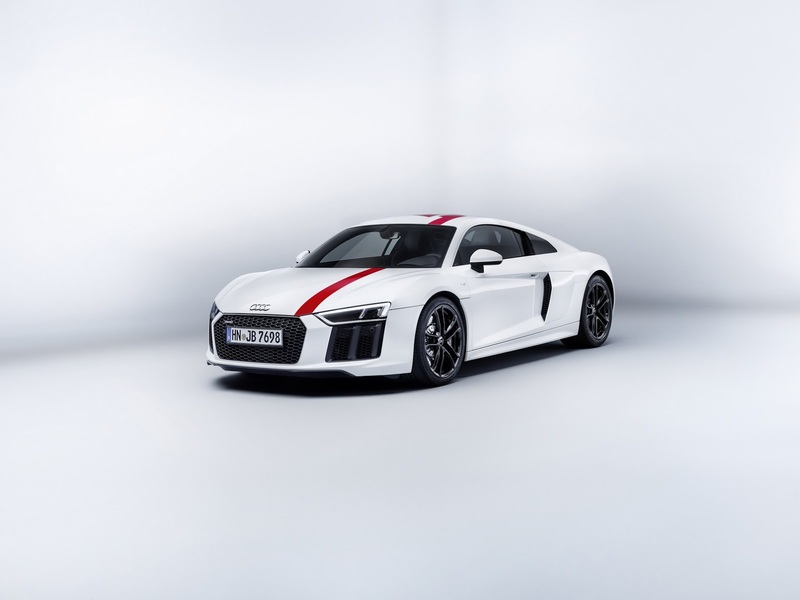 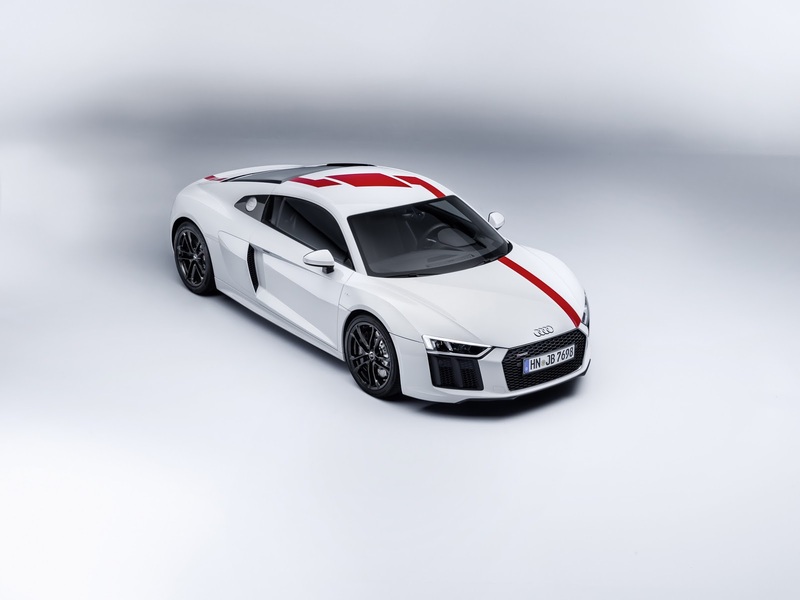 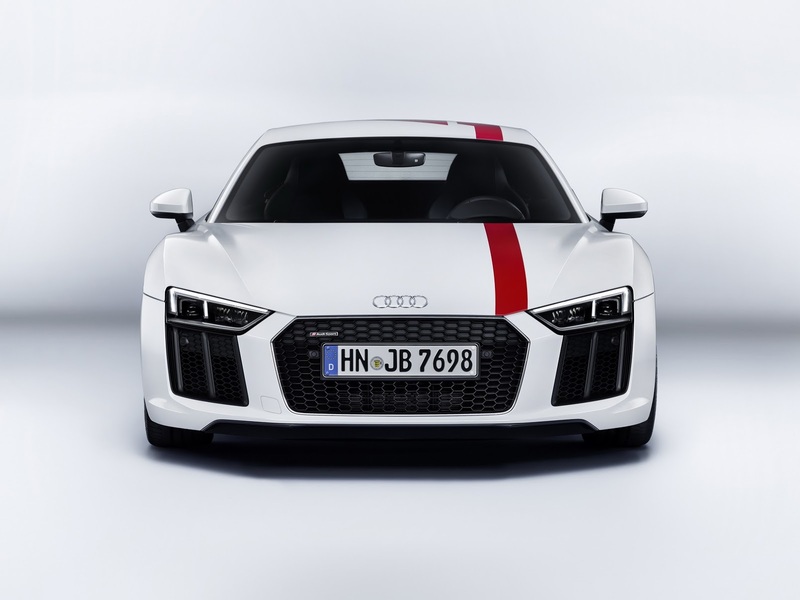 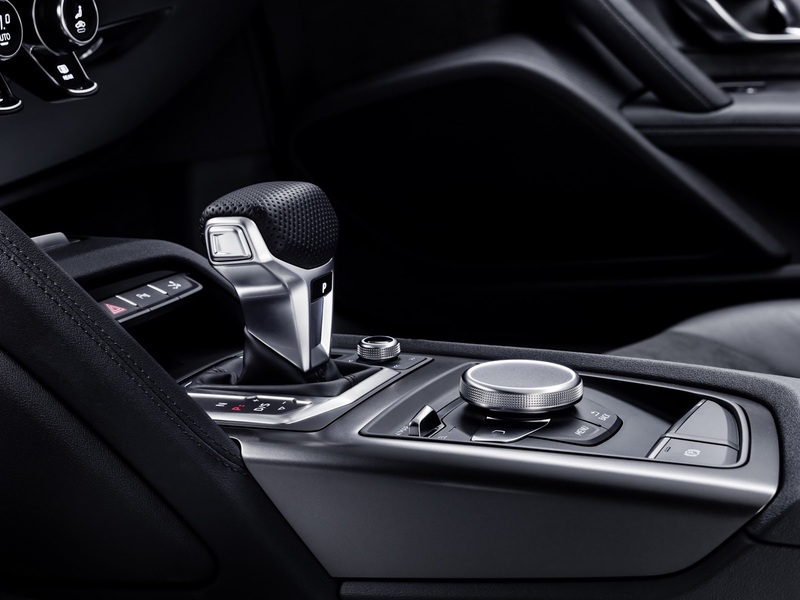 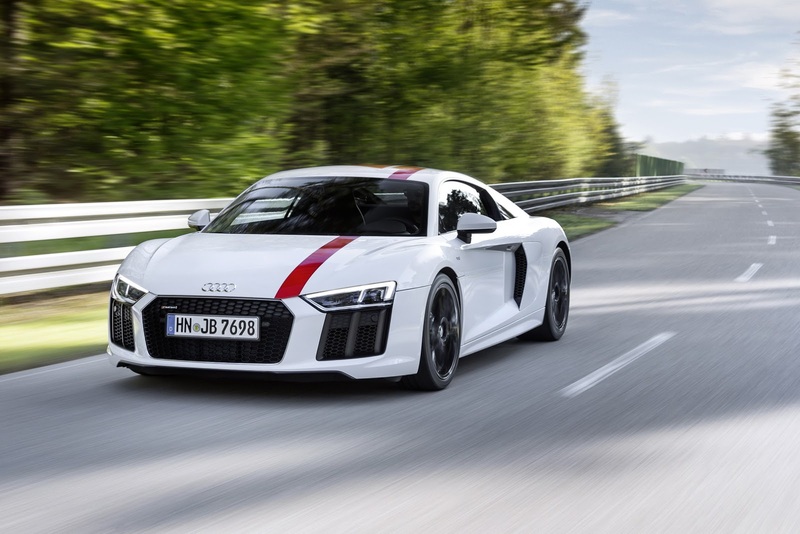 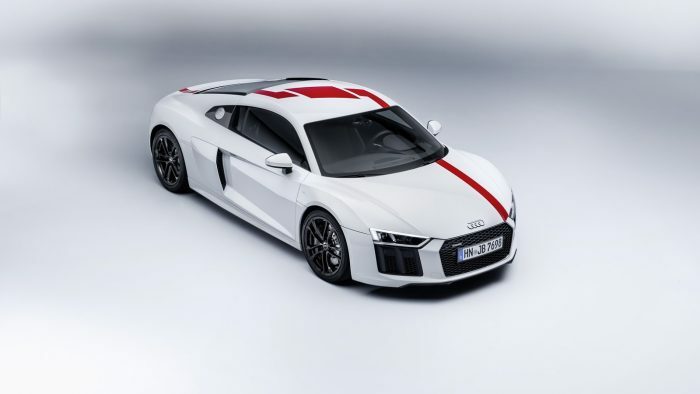 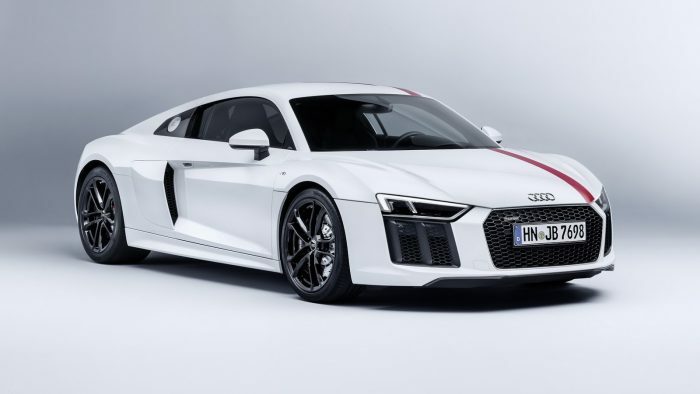 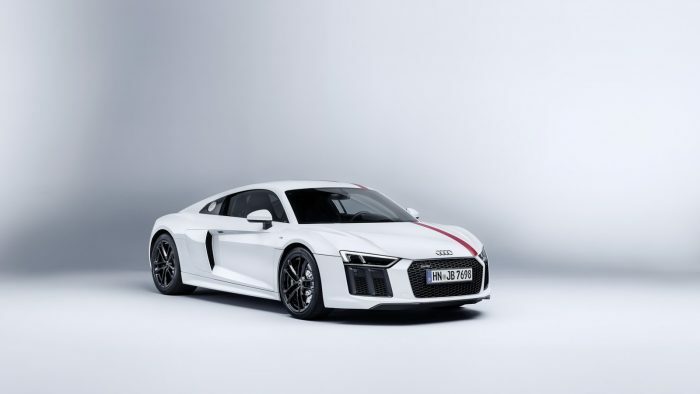 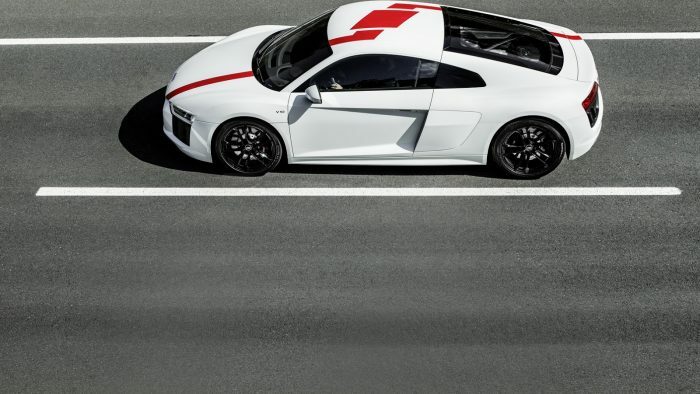 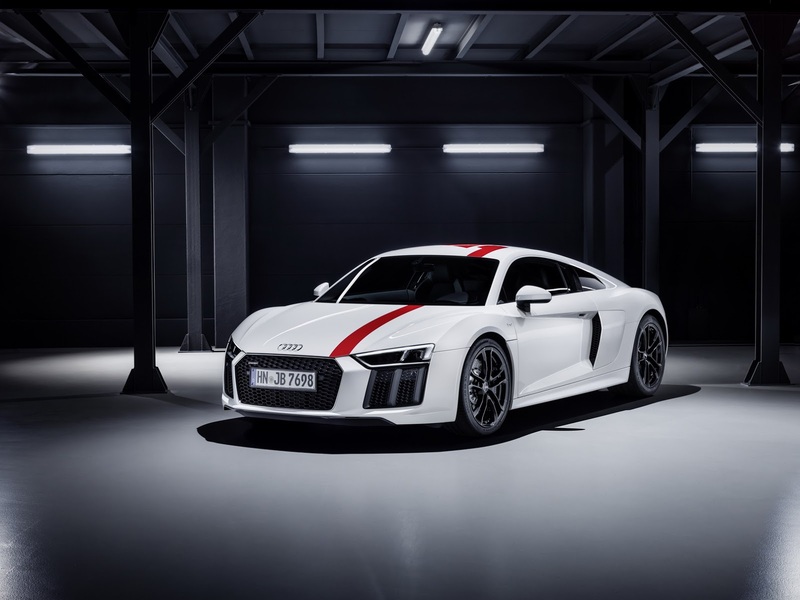 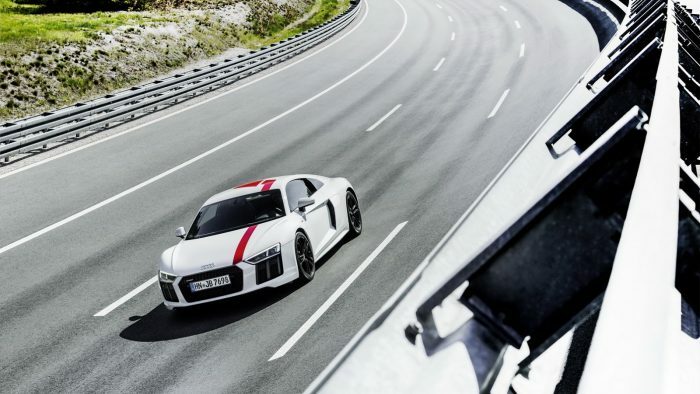 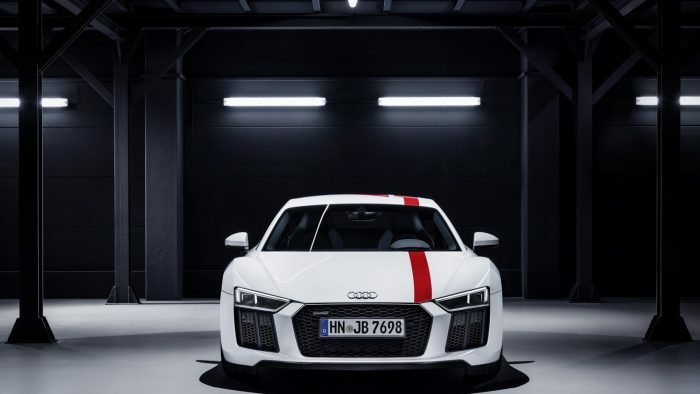 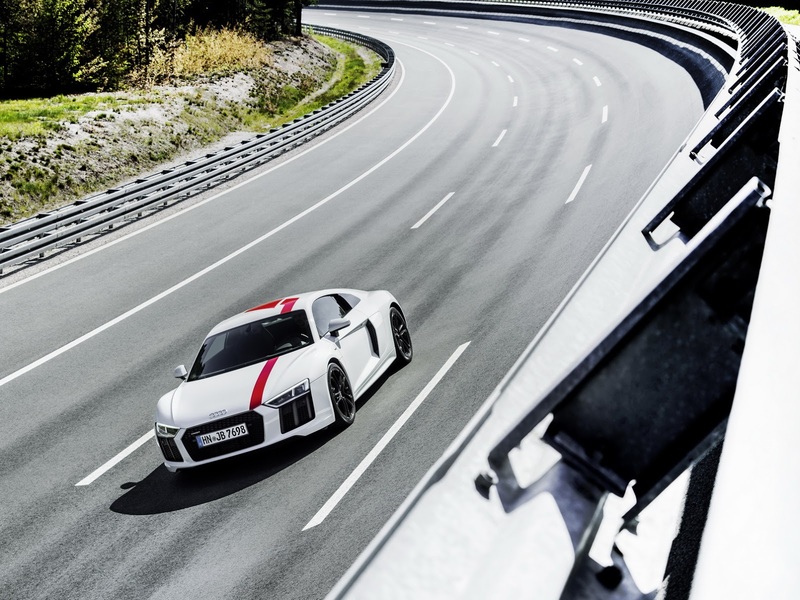 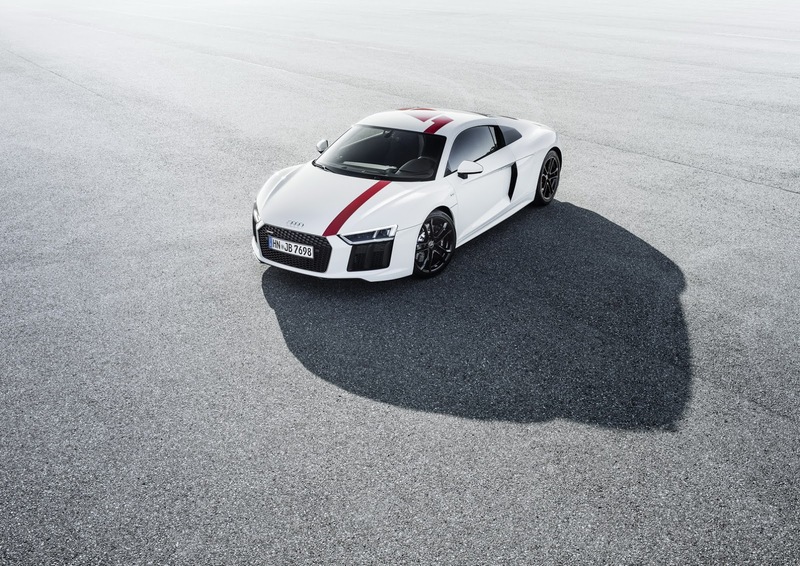 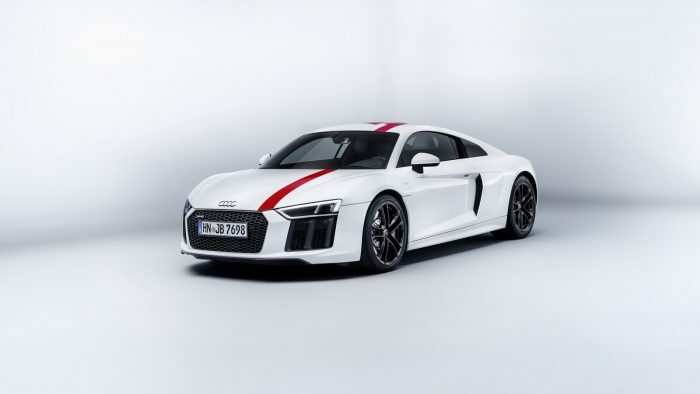 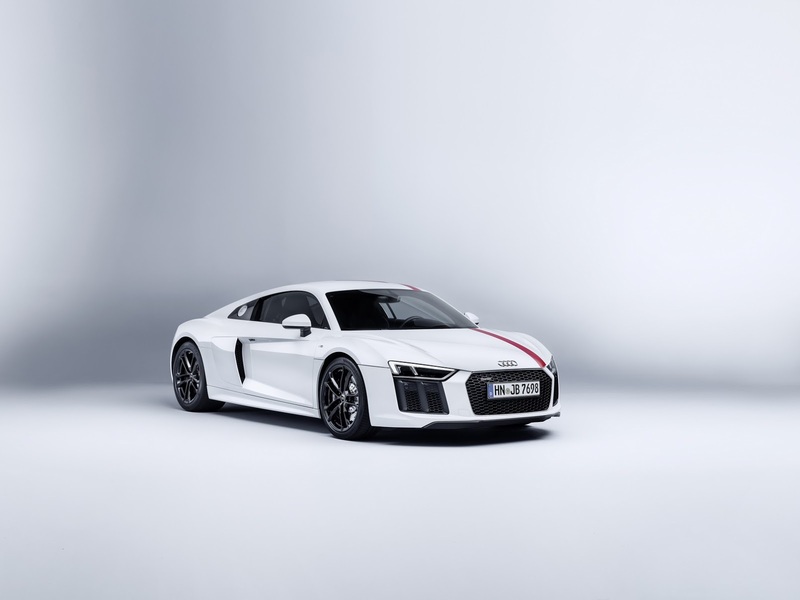 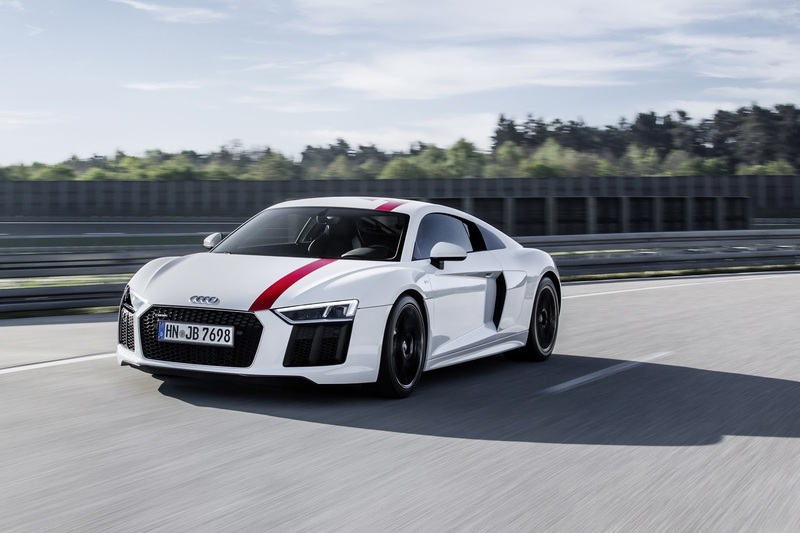 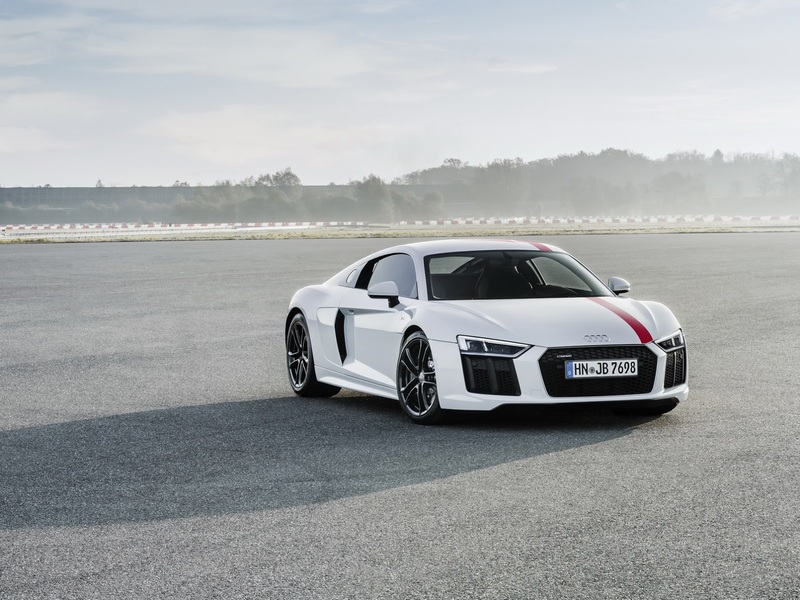 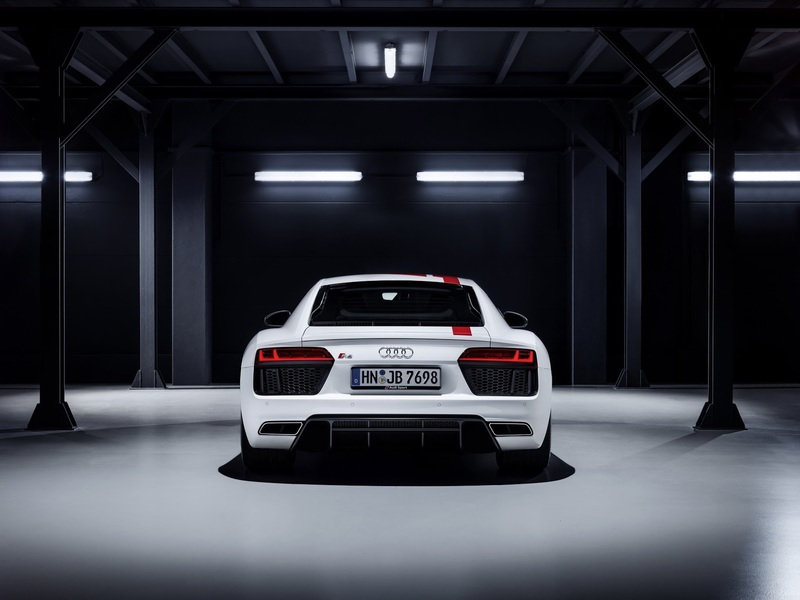 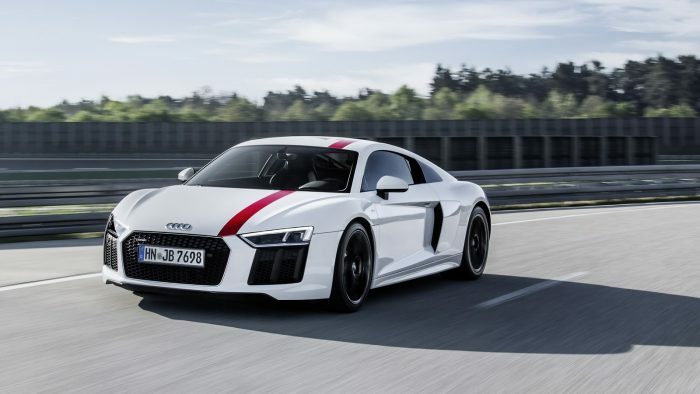 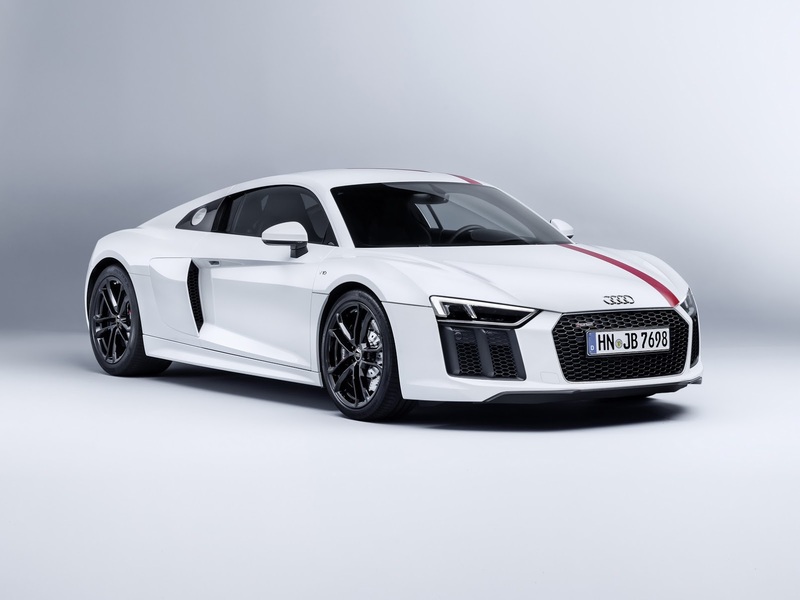 Audi has also made headlines ahead of the 2017 Frankfurt Motor Show by unveiling the newest member to their R8 family, the limited edition R8 V10 RWS. 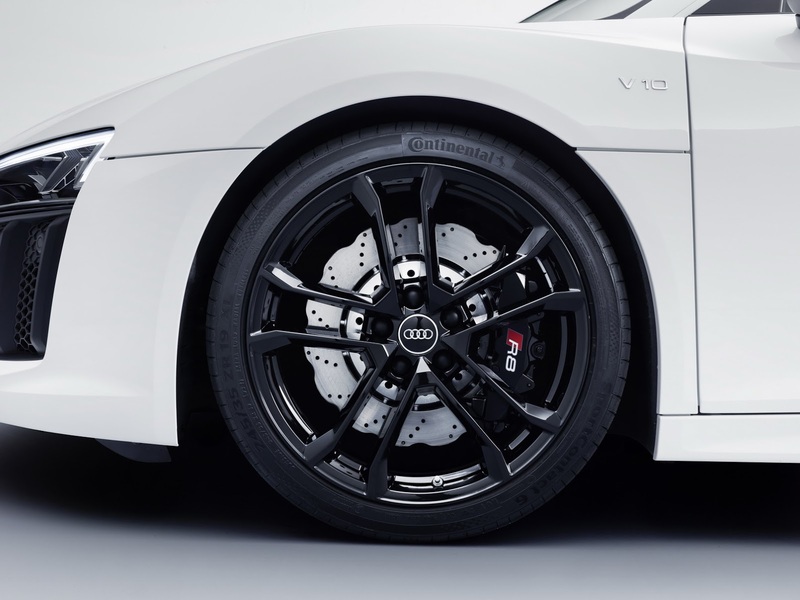 The RWS stands for Rear Wheel Series. 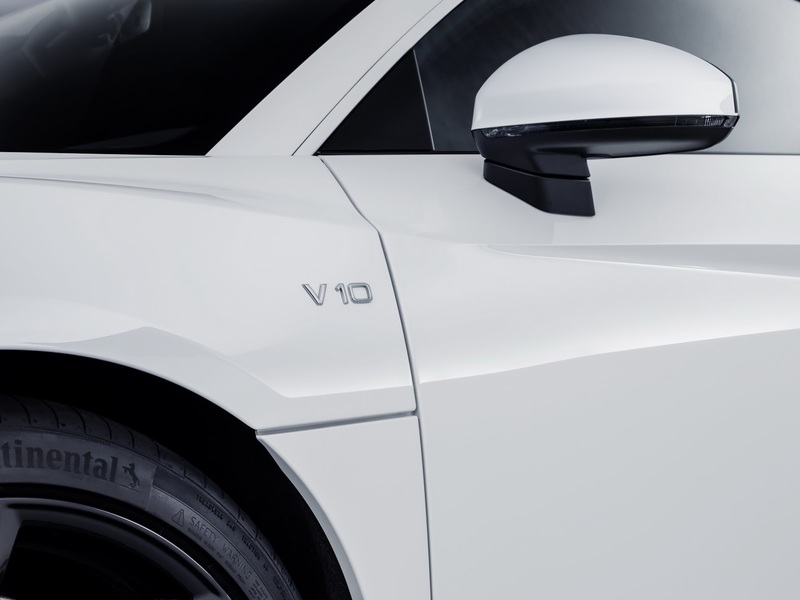 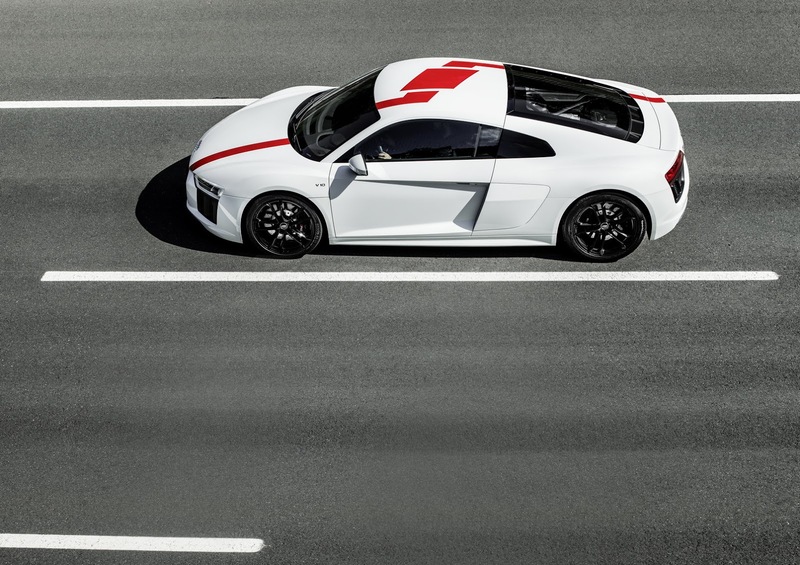 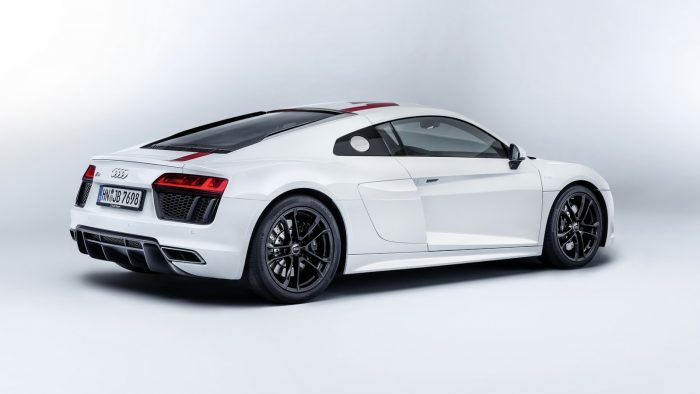 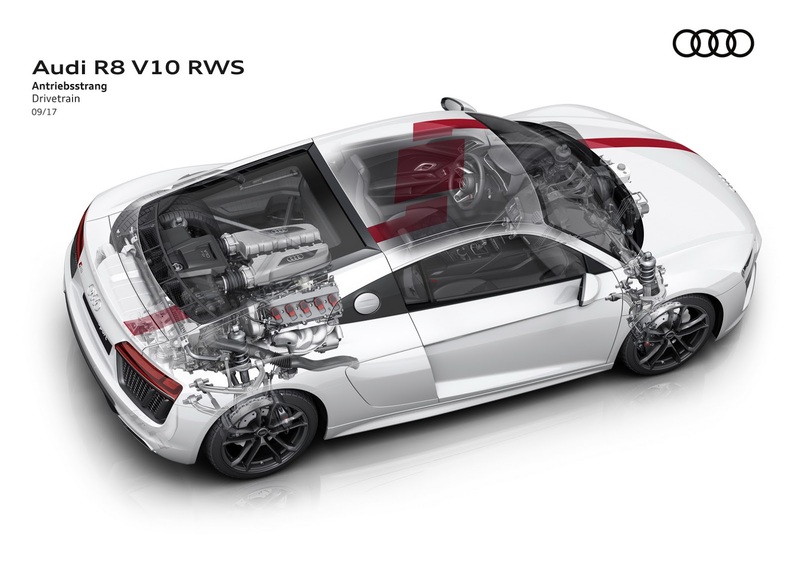 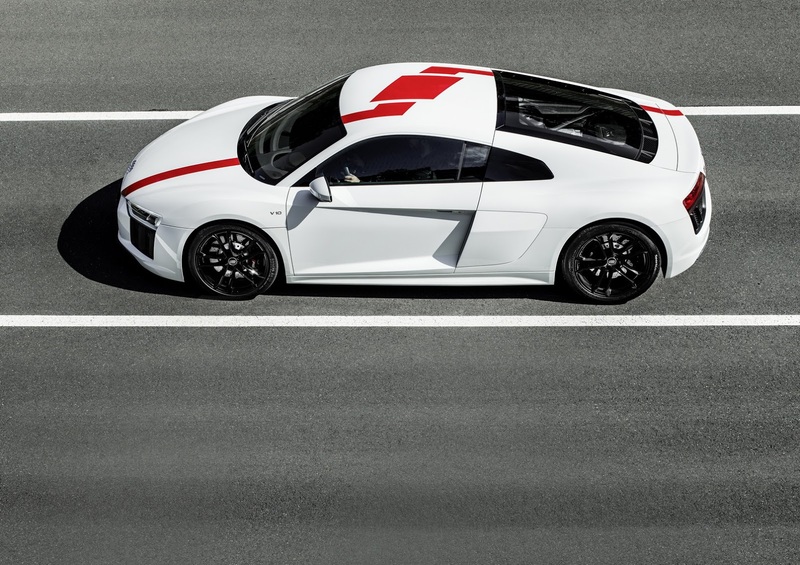 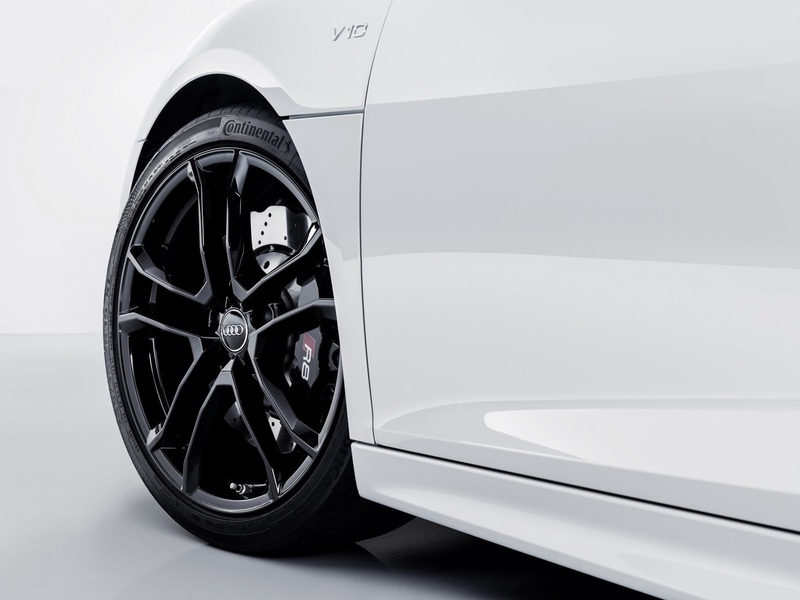 The new R8 V10 RWS is available in both Coupe and Spyder options. 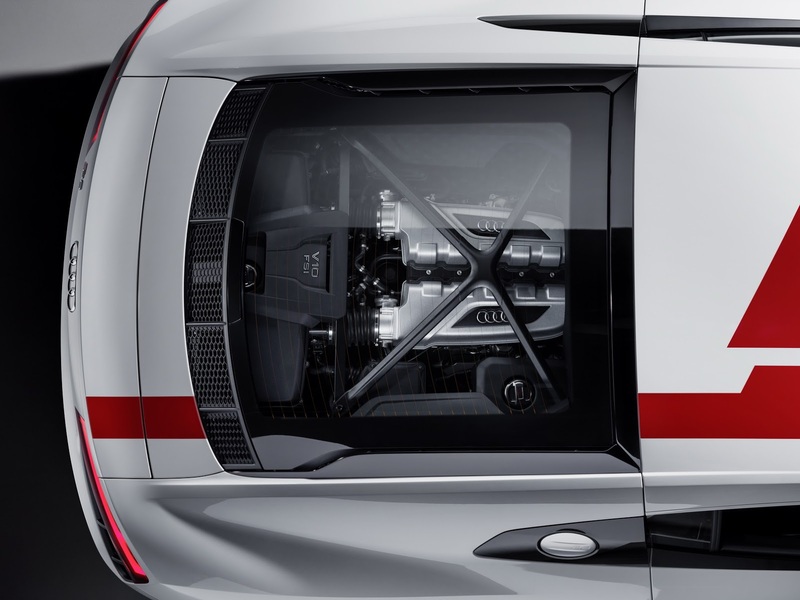 And as you might have expected it, will also come as an exclusively rear-driven car. 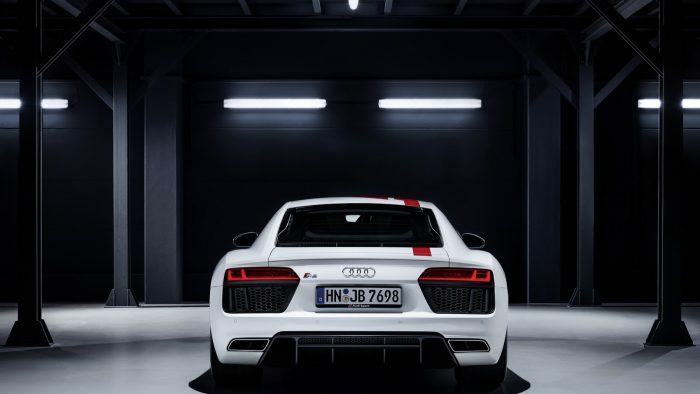 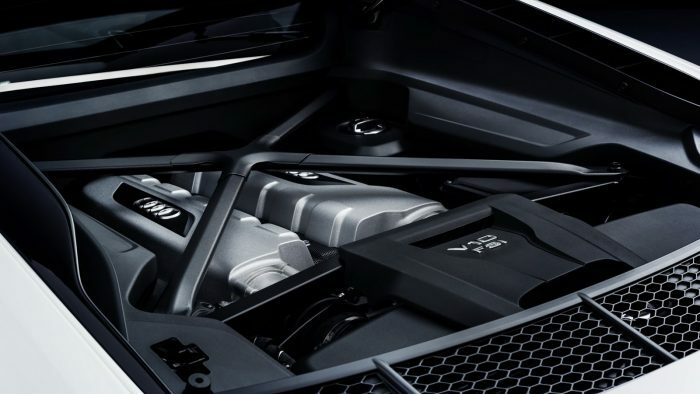 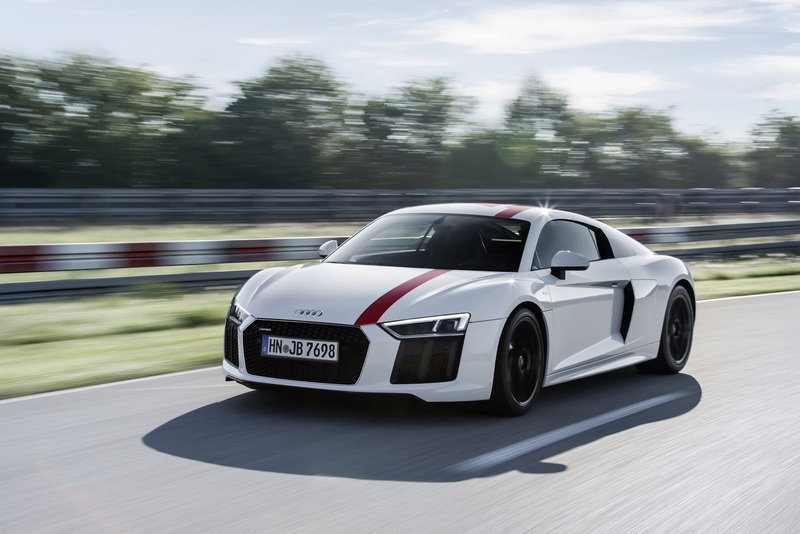 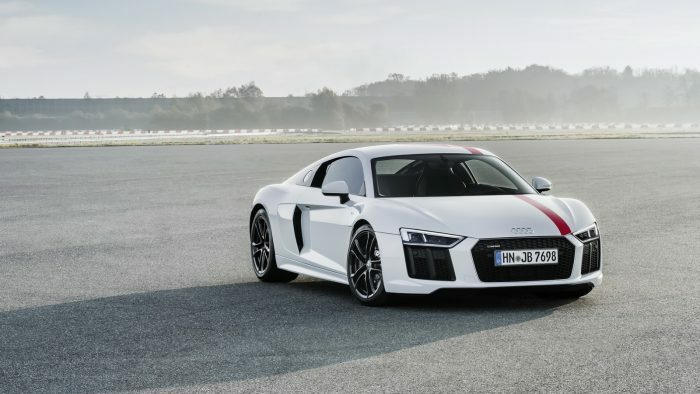 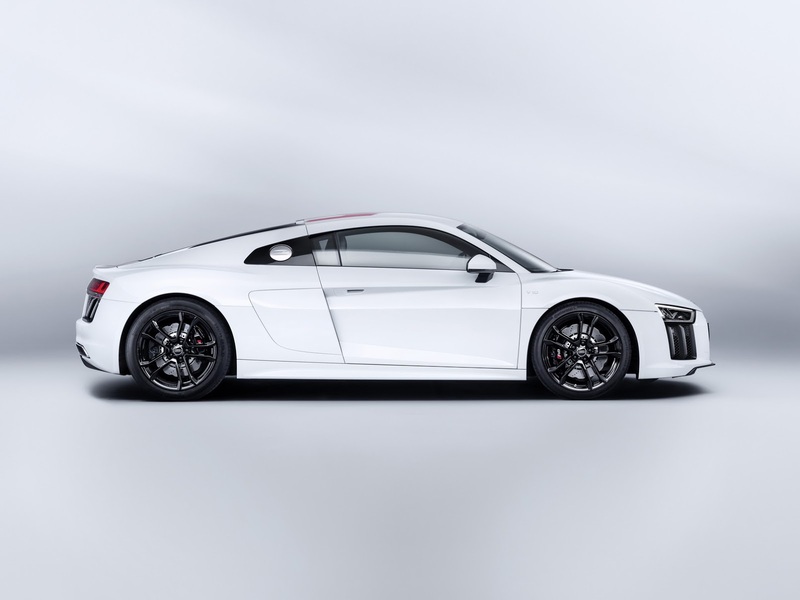 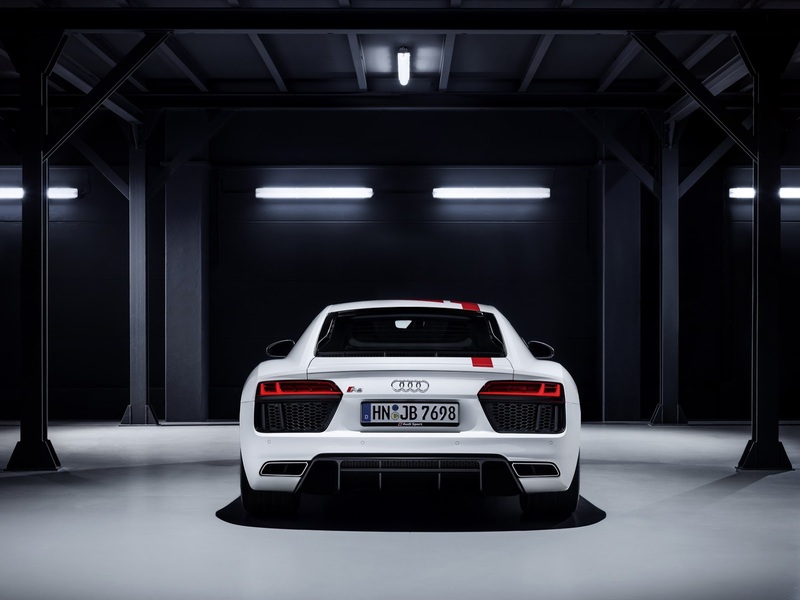 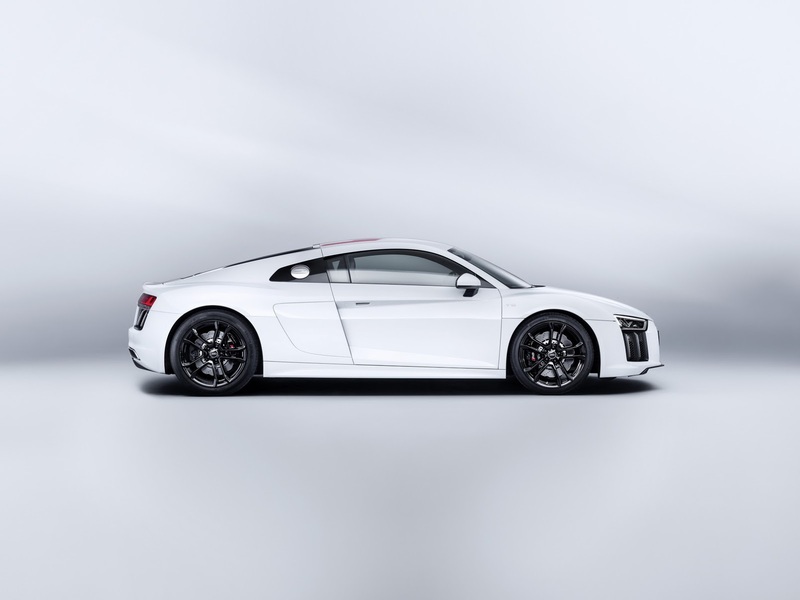 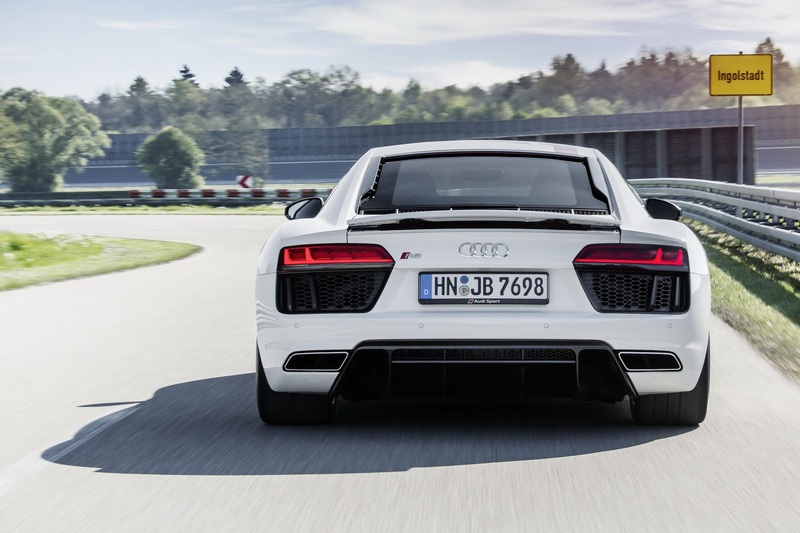 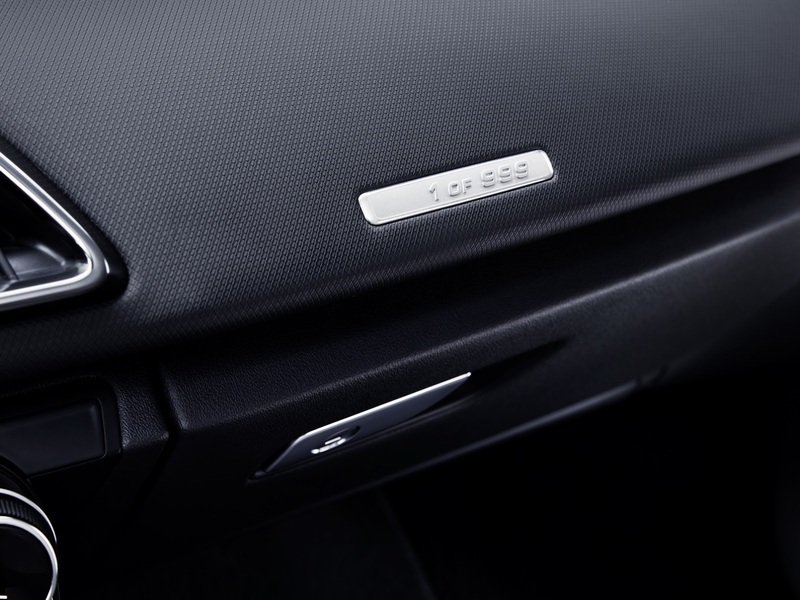 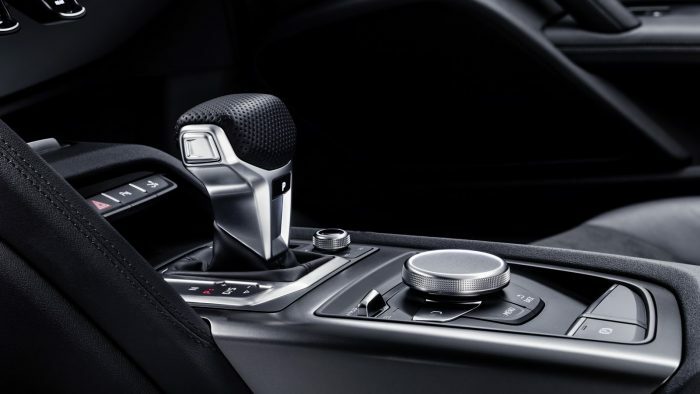 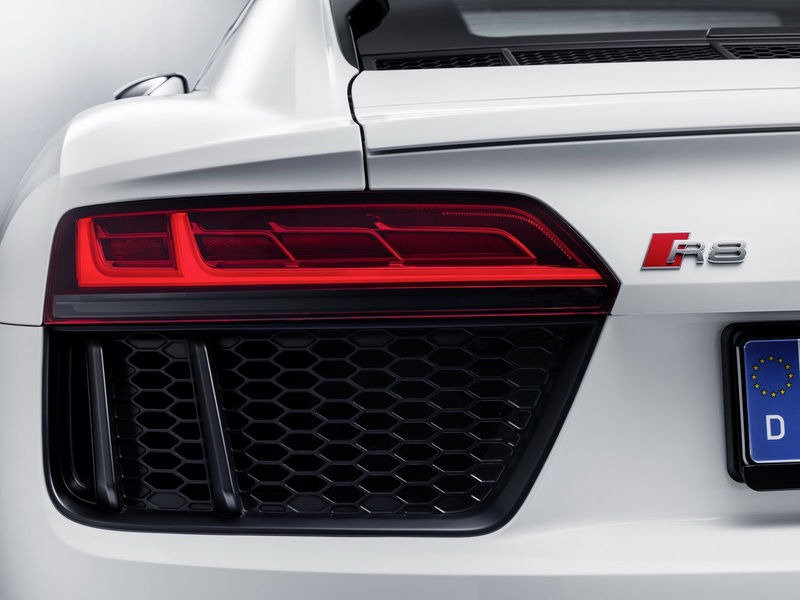 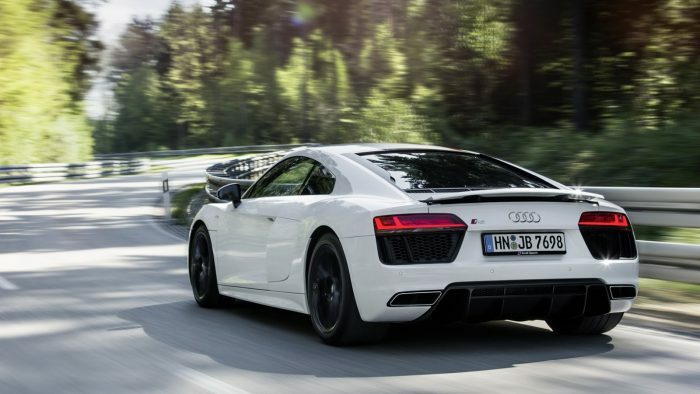 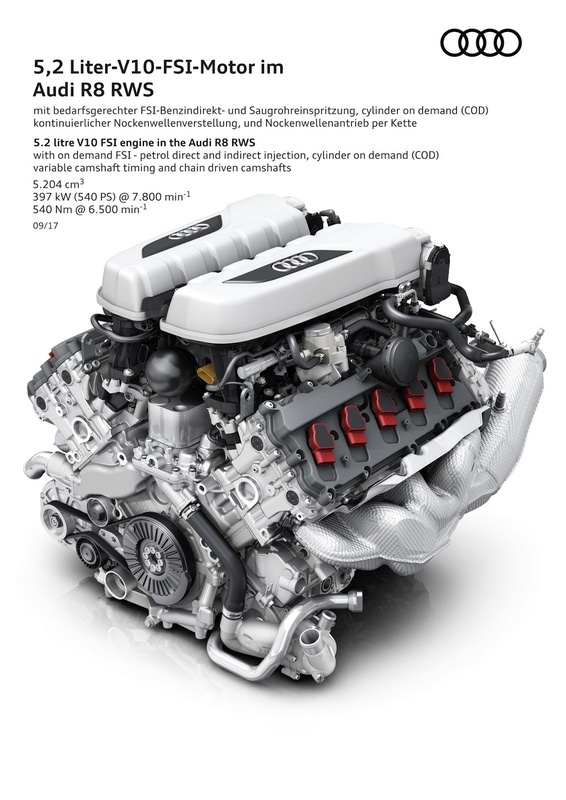 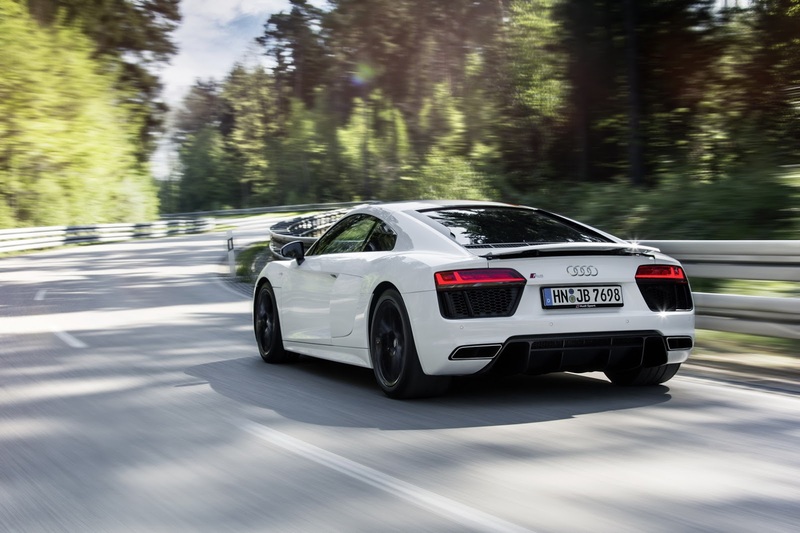 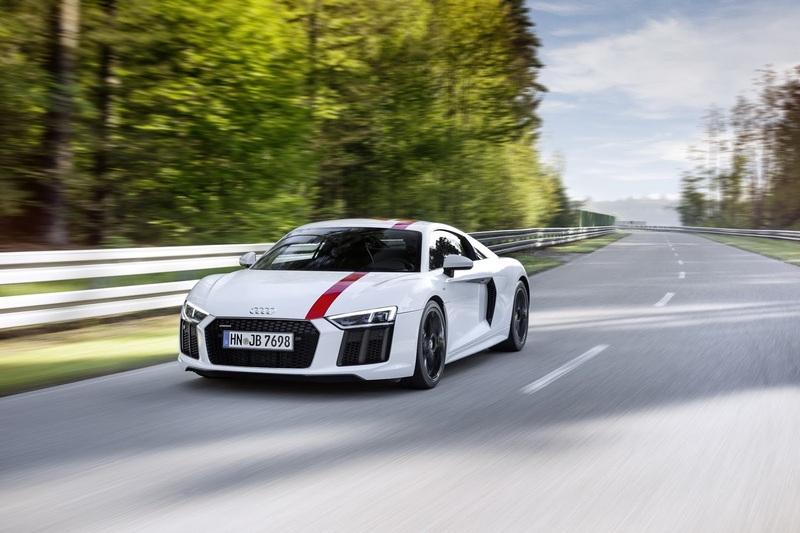 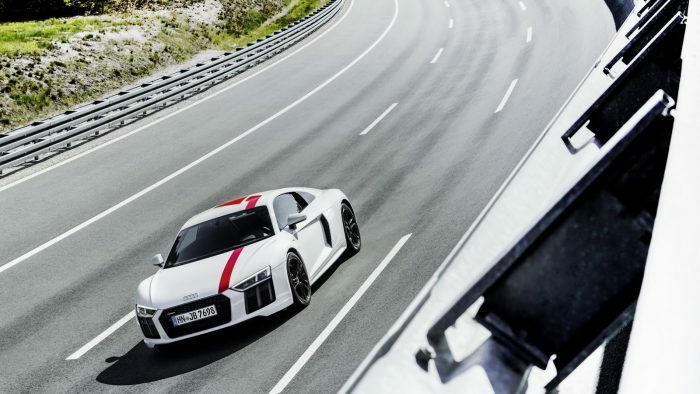 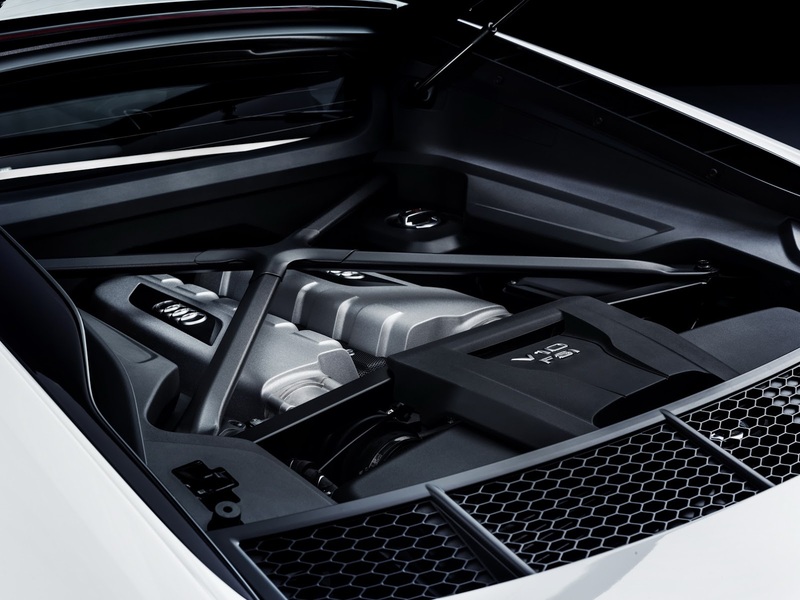 Power is produced from the naturally aspirated 5.2-liter FSI V10 of the standard R8, which translates to 532 hp and 540Nm (398lb-ft) of peak torque. 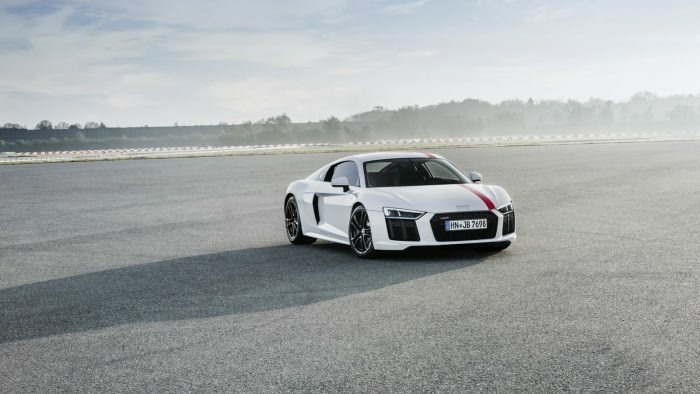 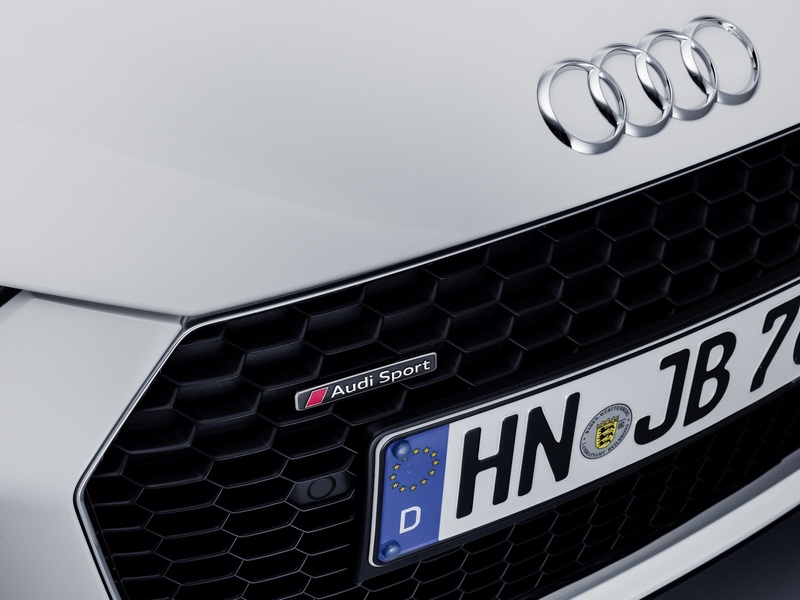 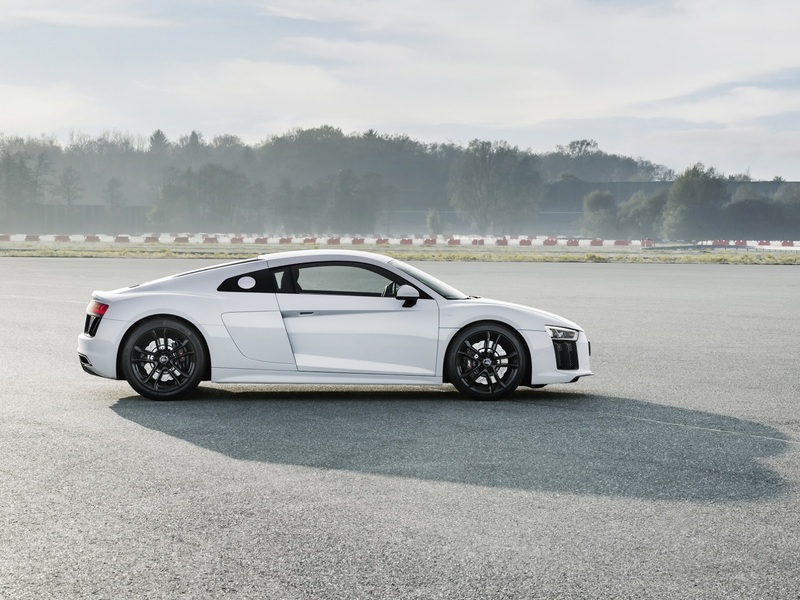 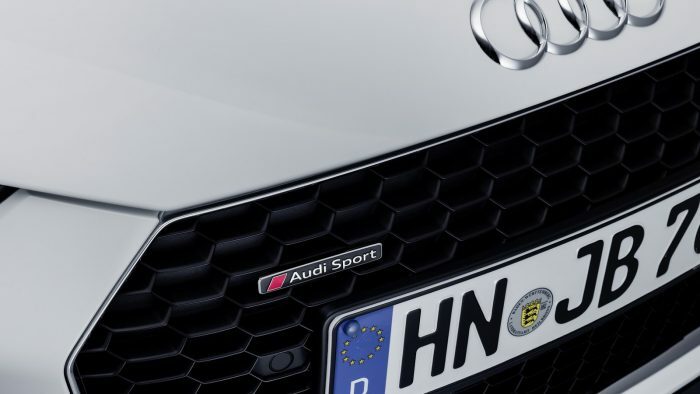 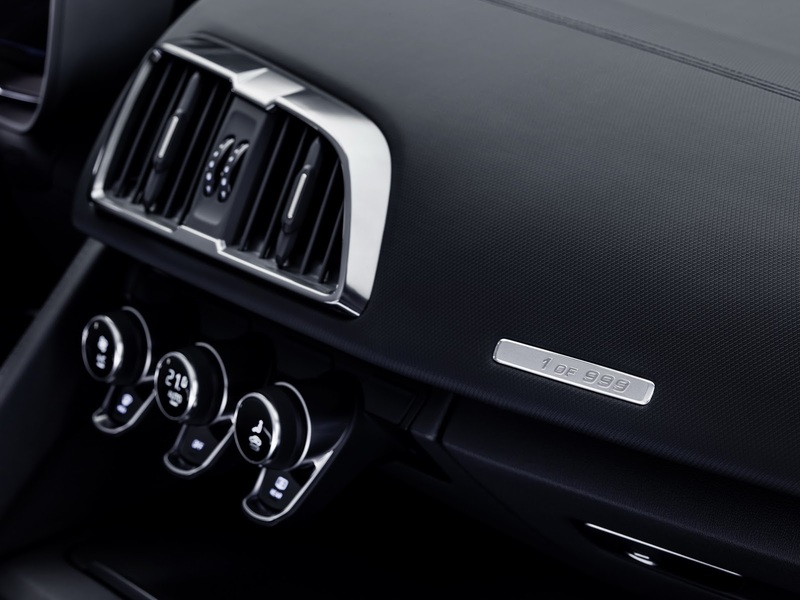 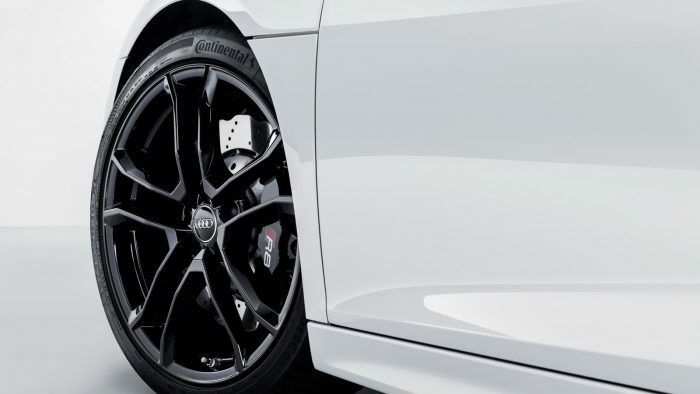 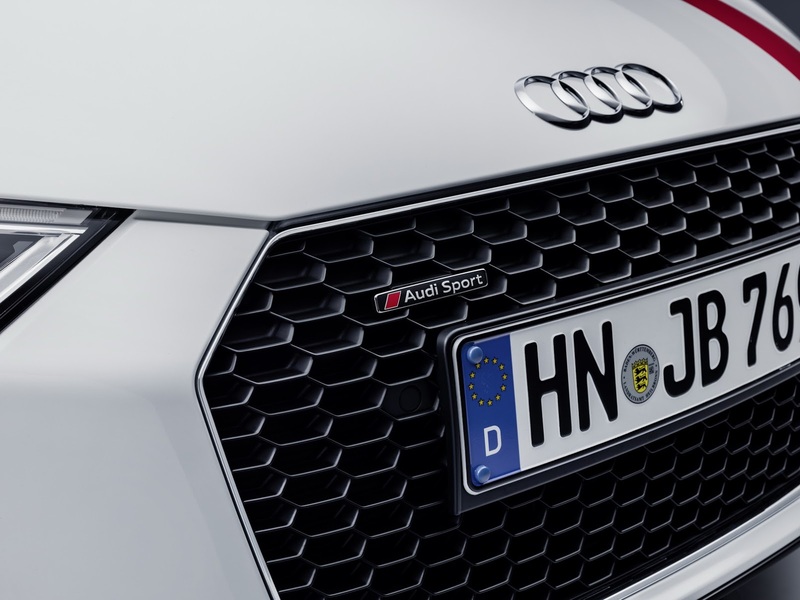 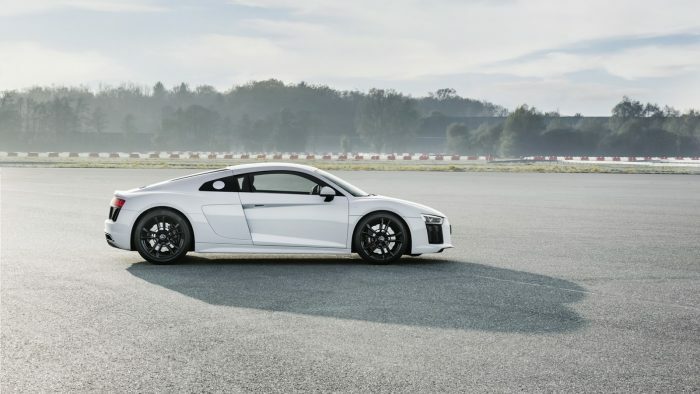 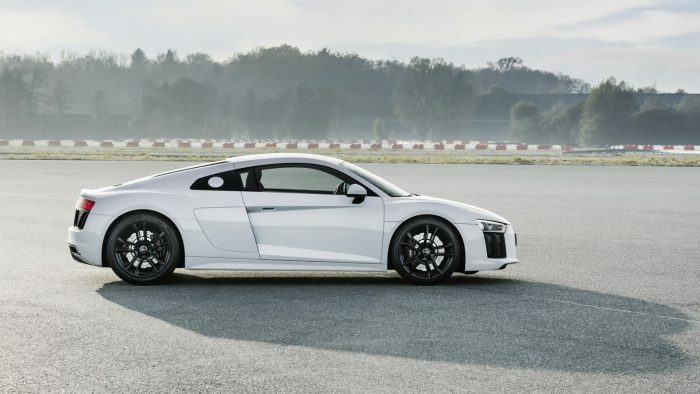 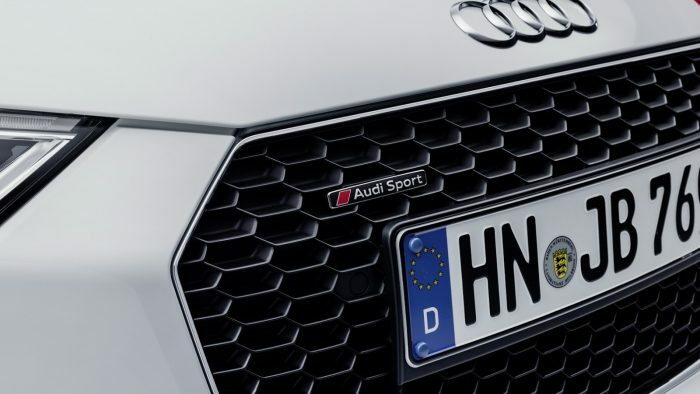 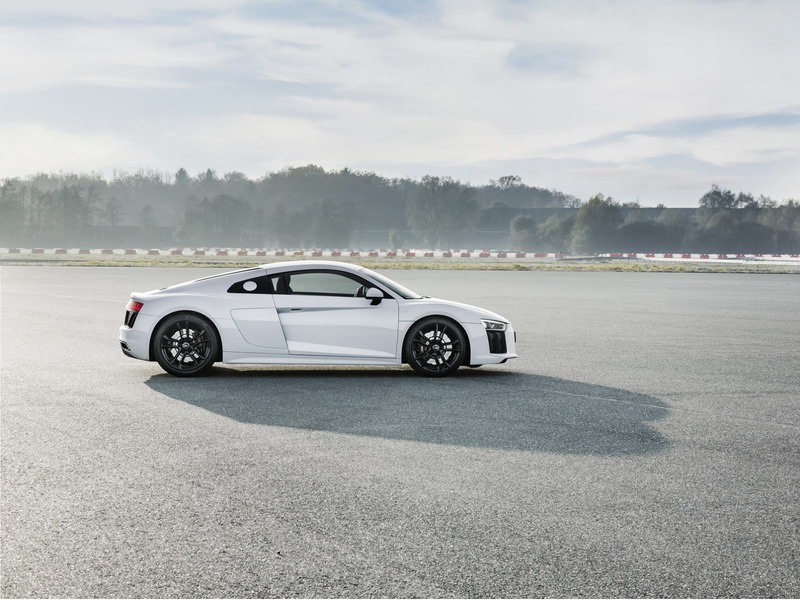 The company also claims that the new car will be accelerate from 0-62 mph in 3.7 seconds (0.3 seconds slower than the R8 V10 Quattro). 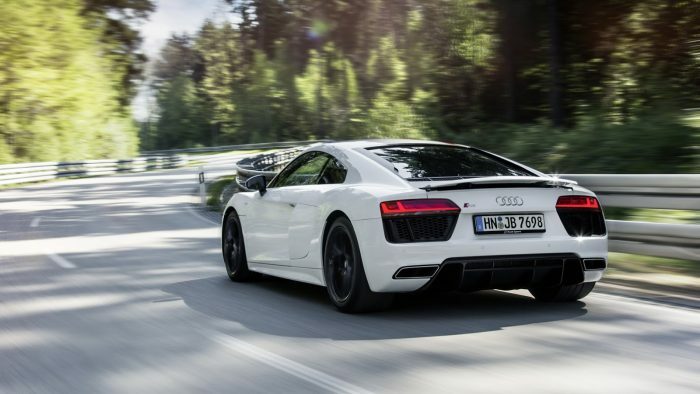 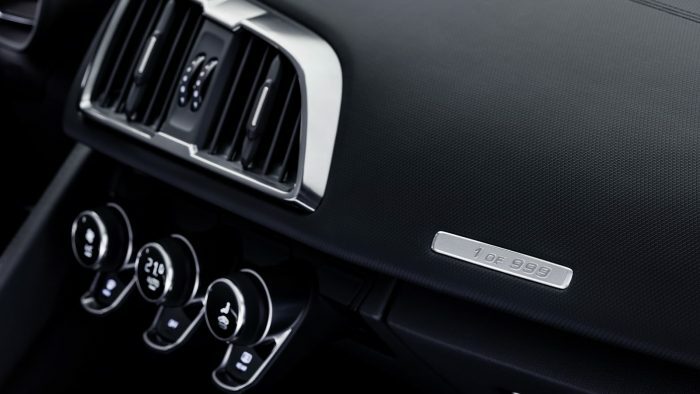 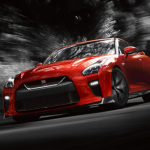 Top speed is rated at 198 mph and again a 1 mph slower than the all-wheel drive model. 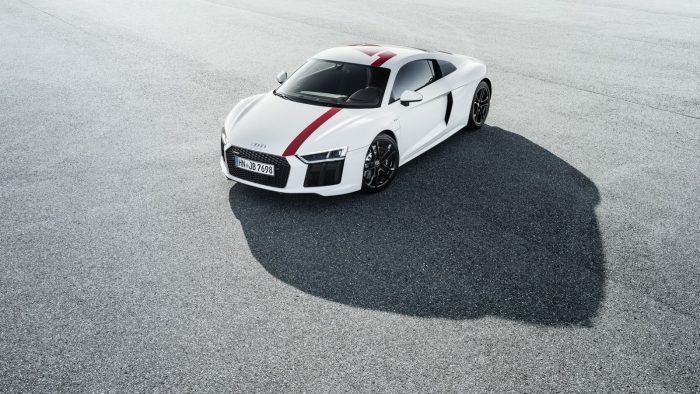 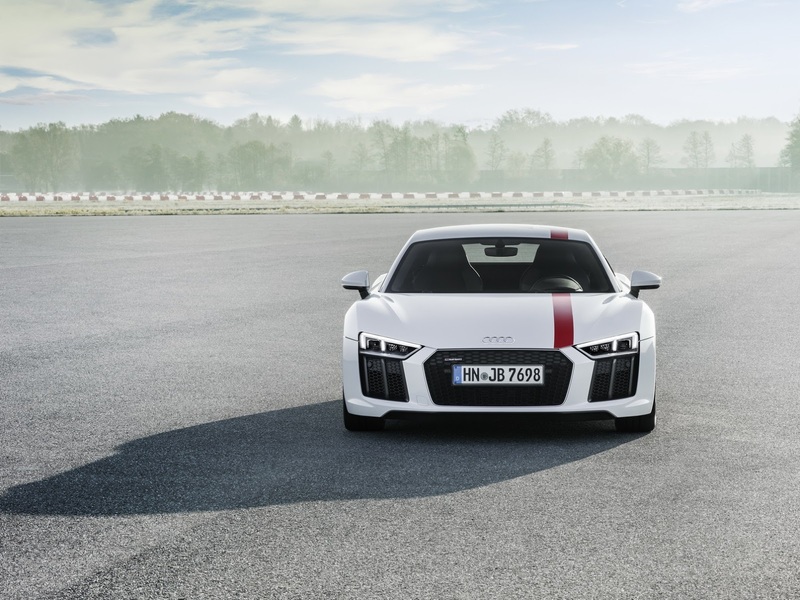 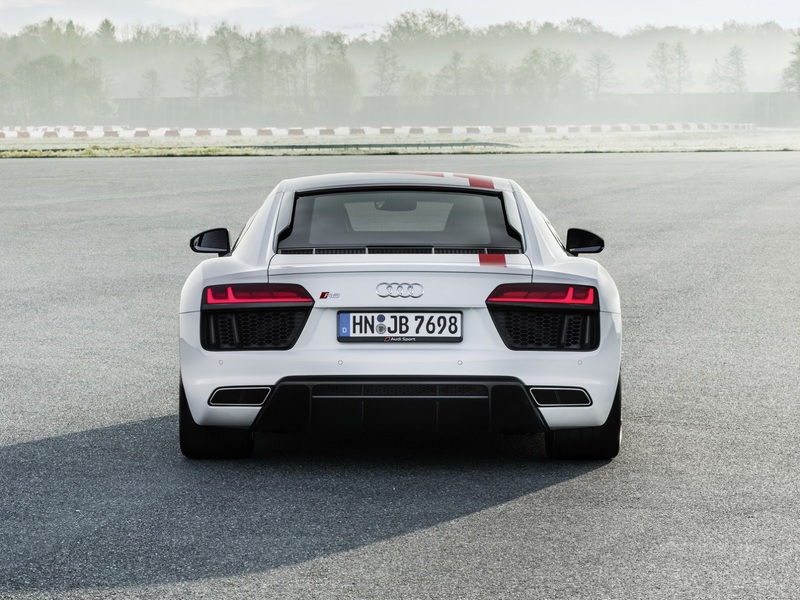 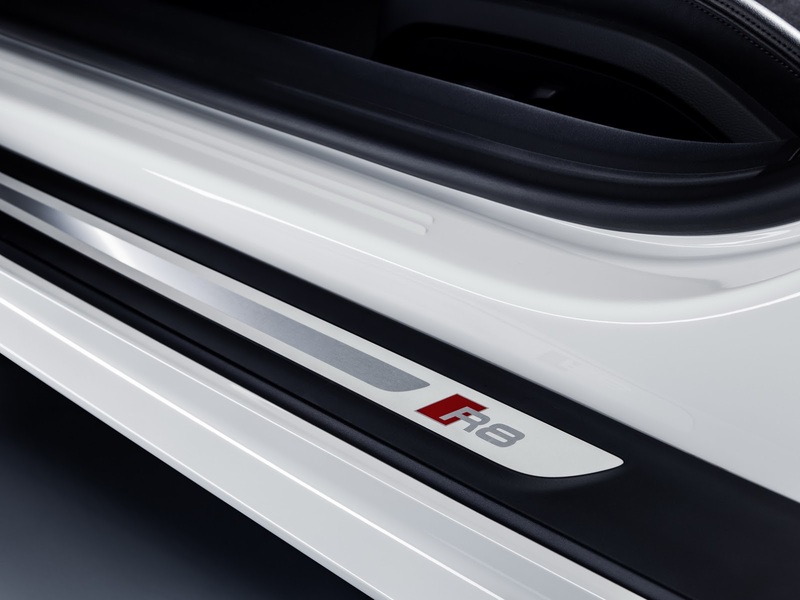 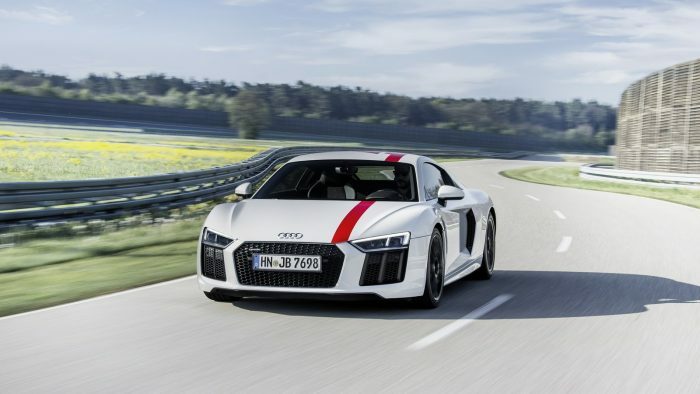 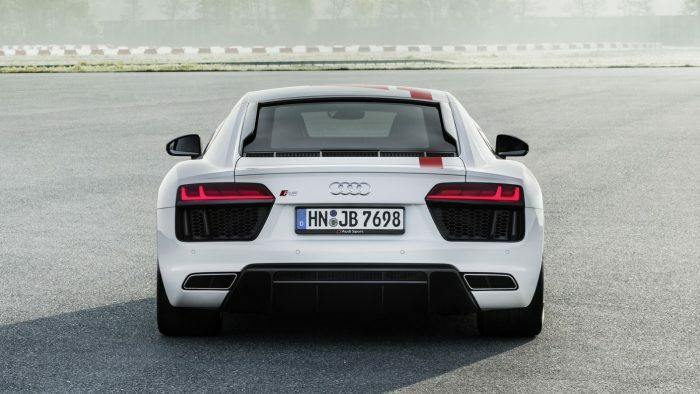 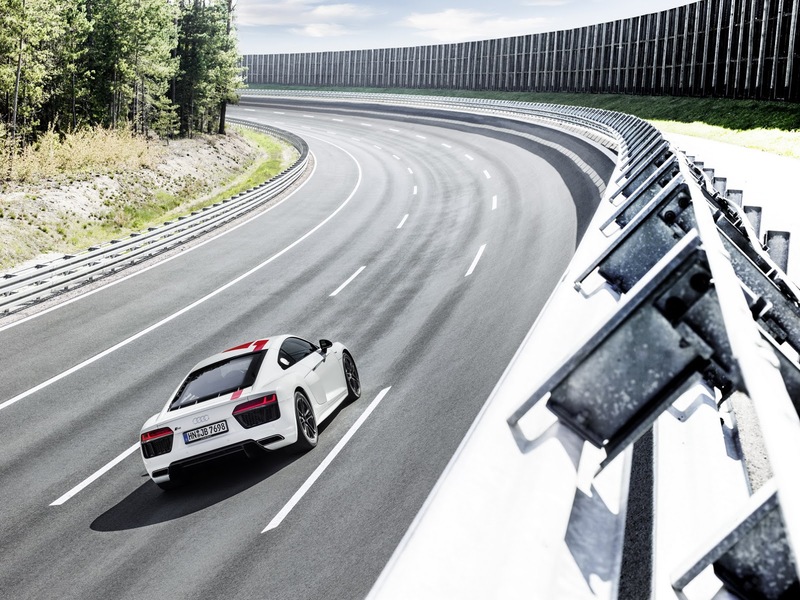 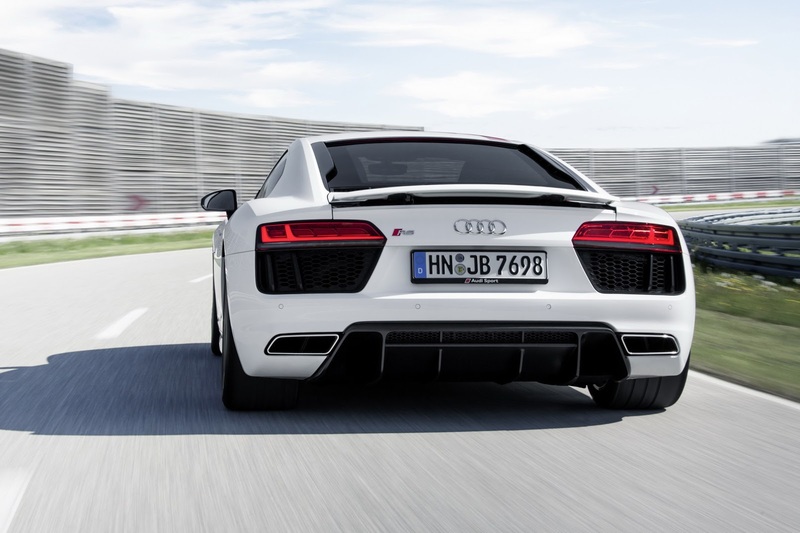 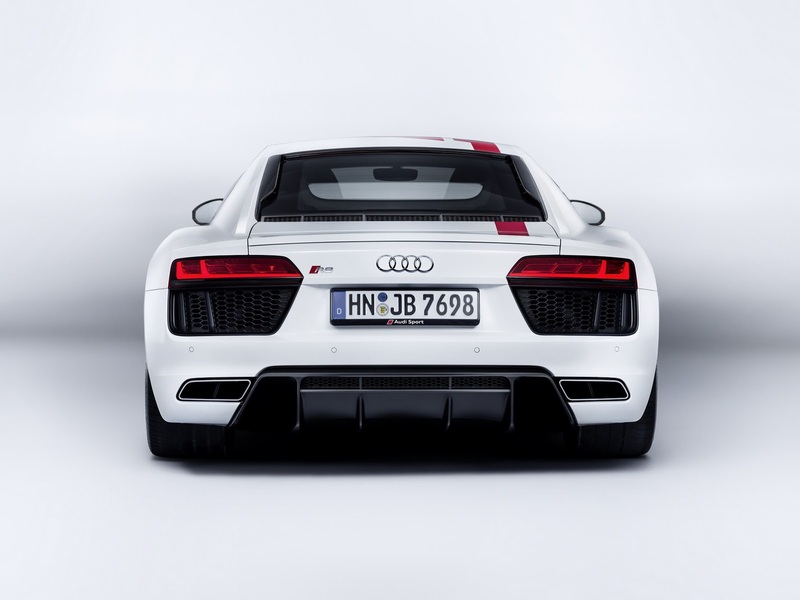 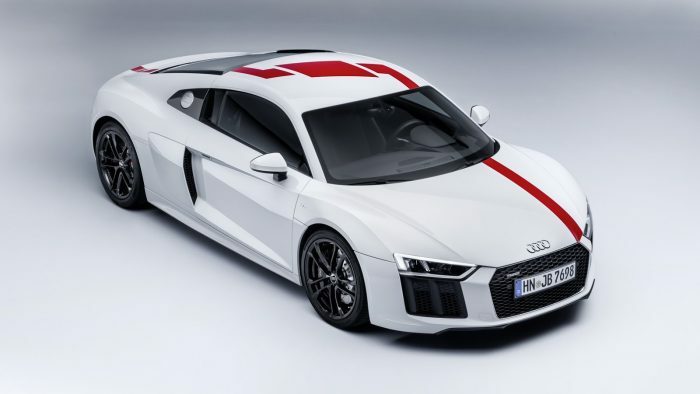 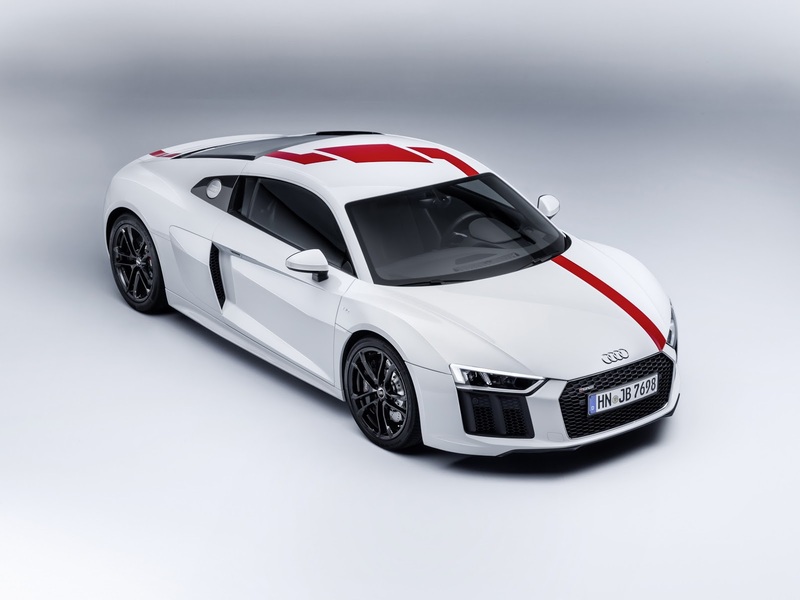 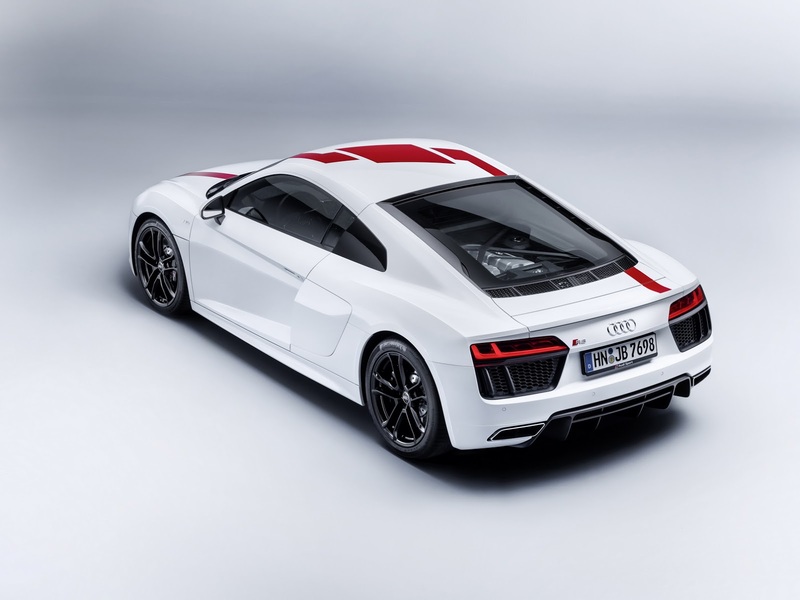 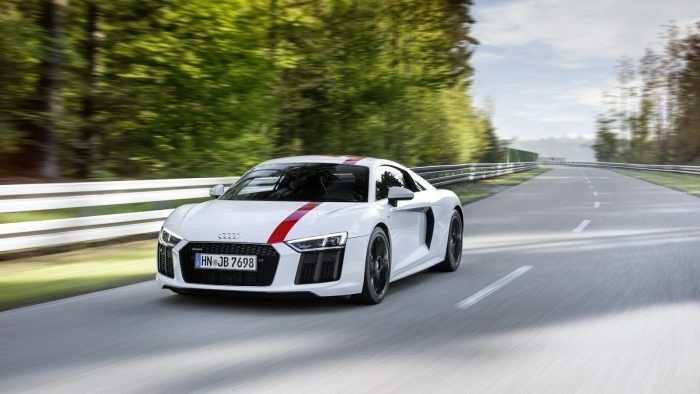 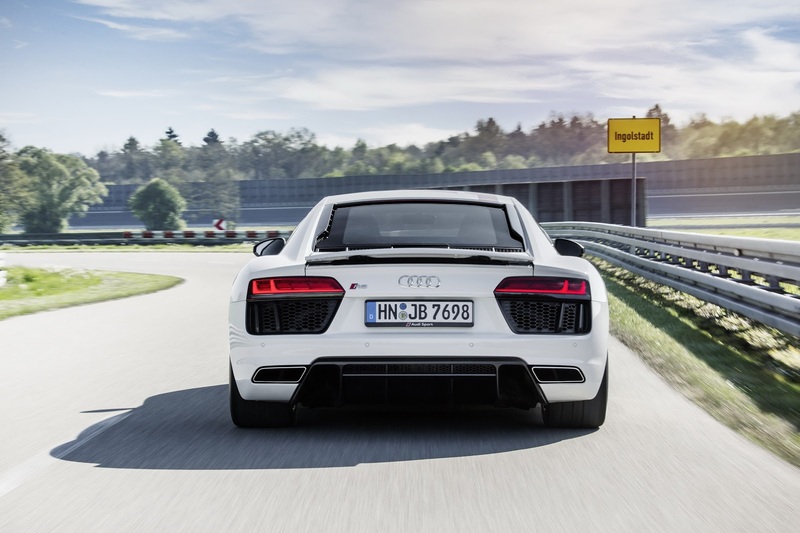 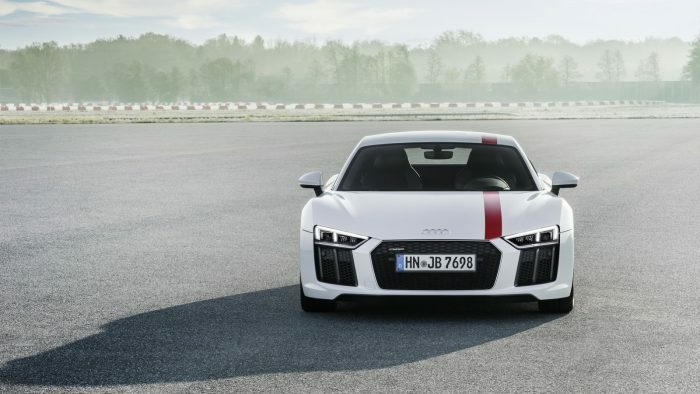 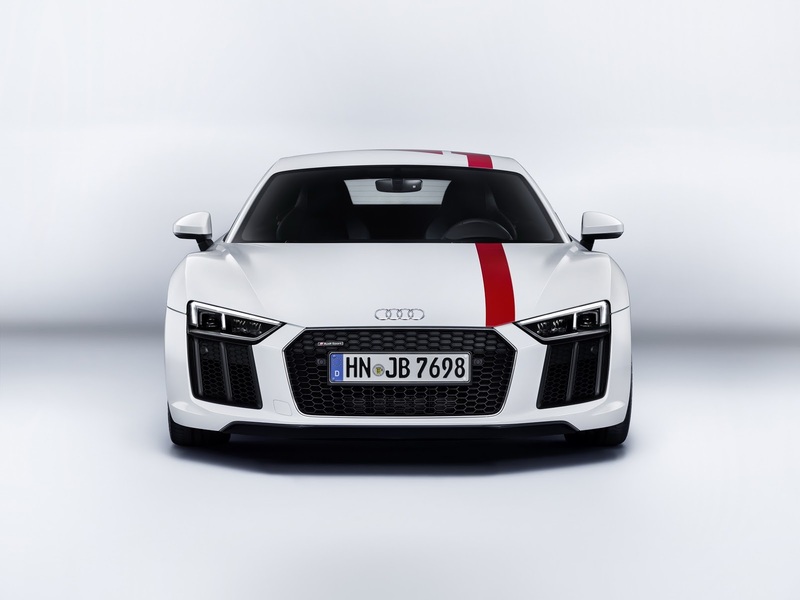 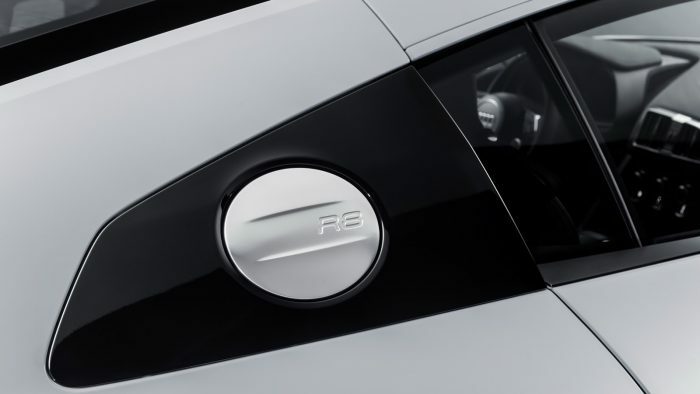 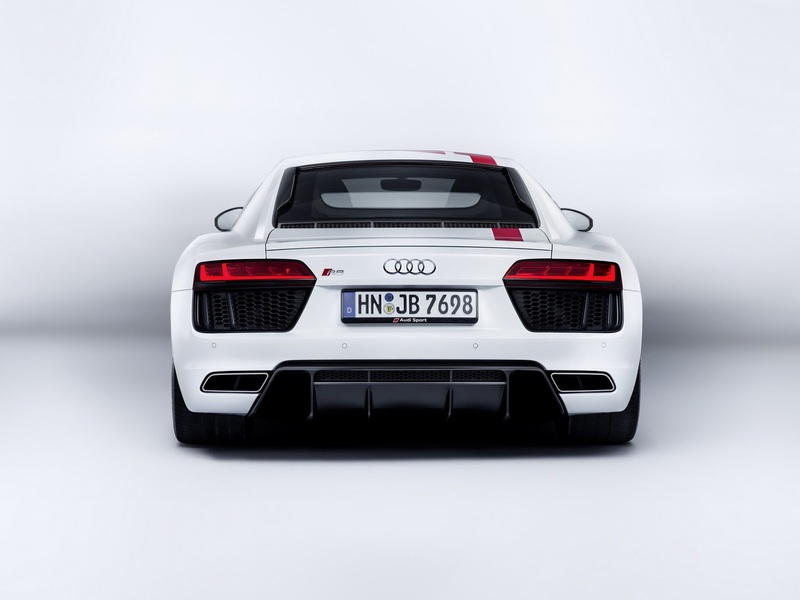 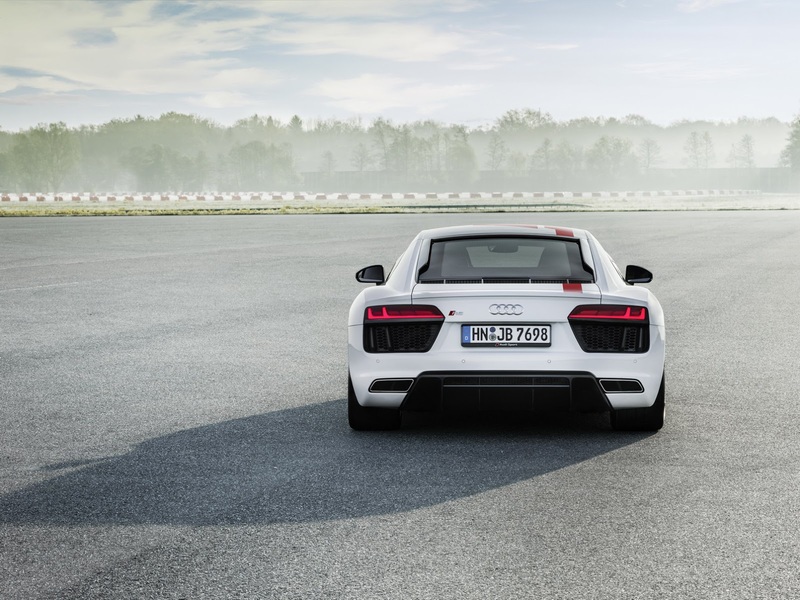 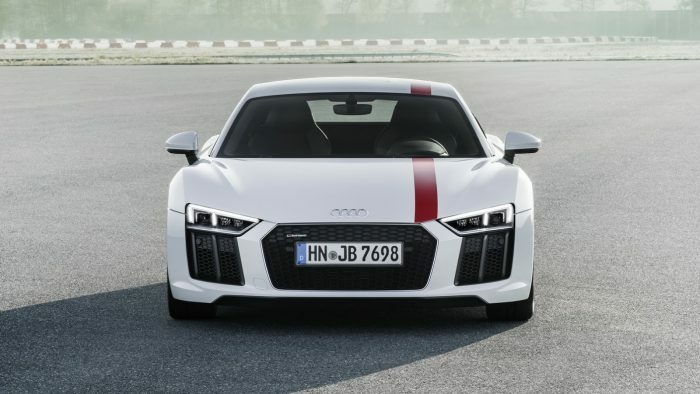 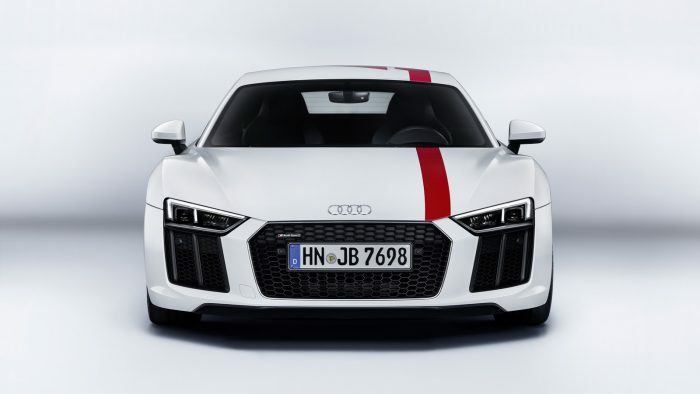 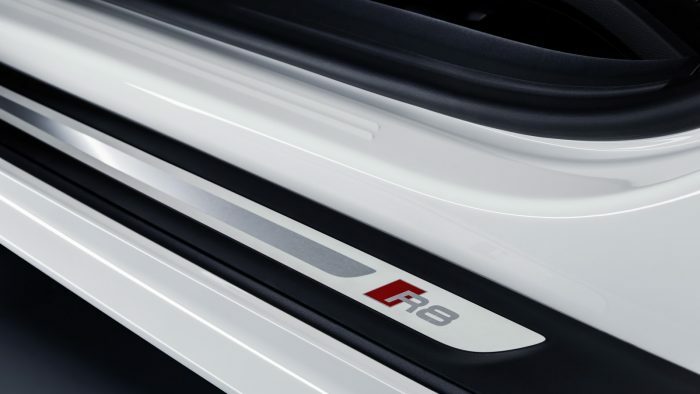 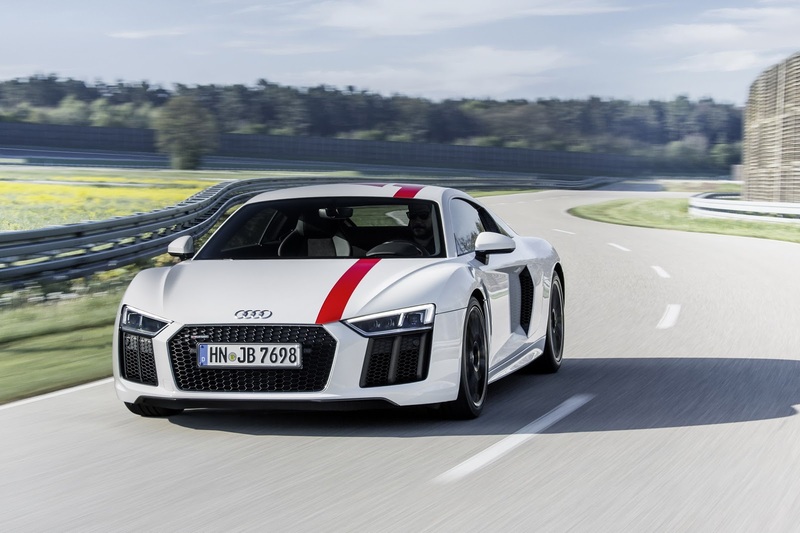 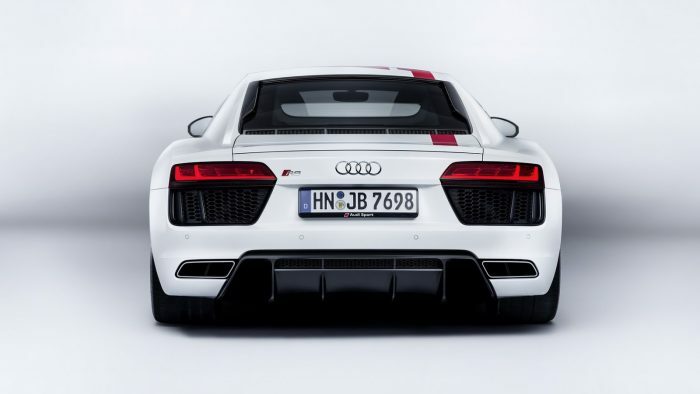 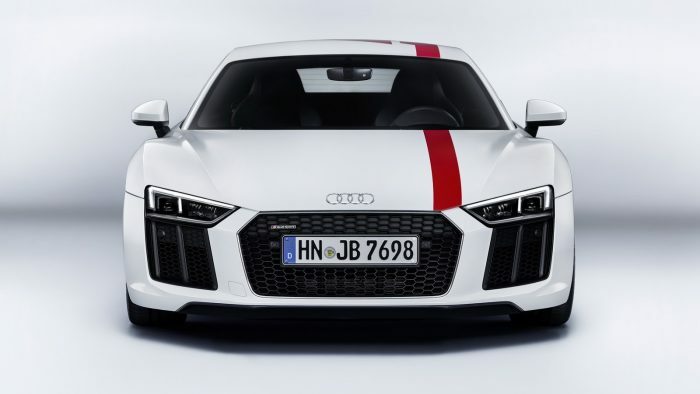 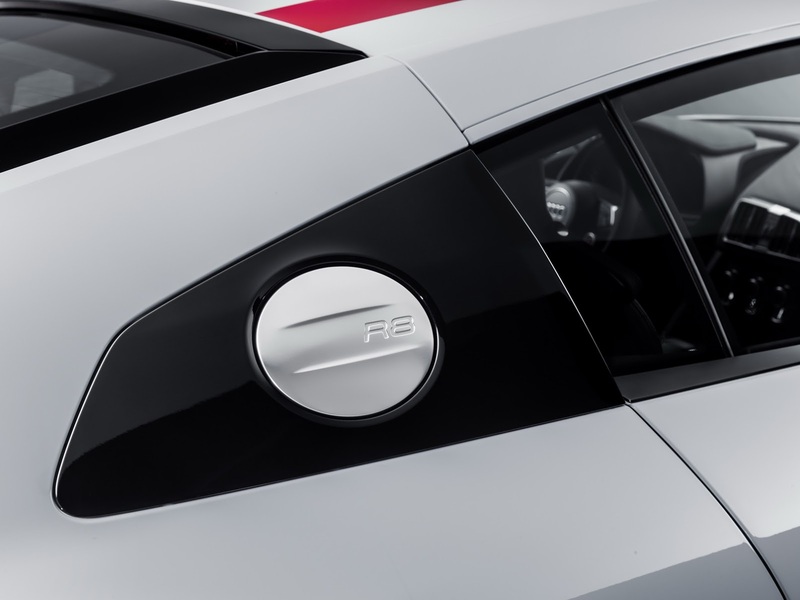 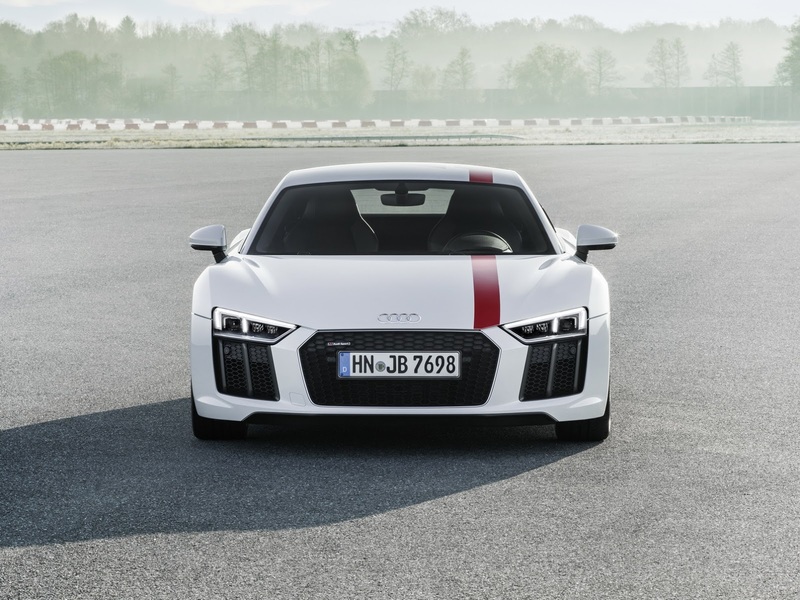 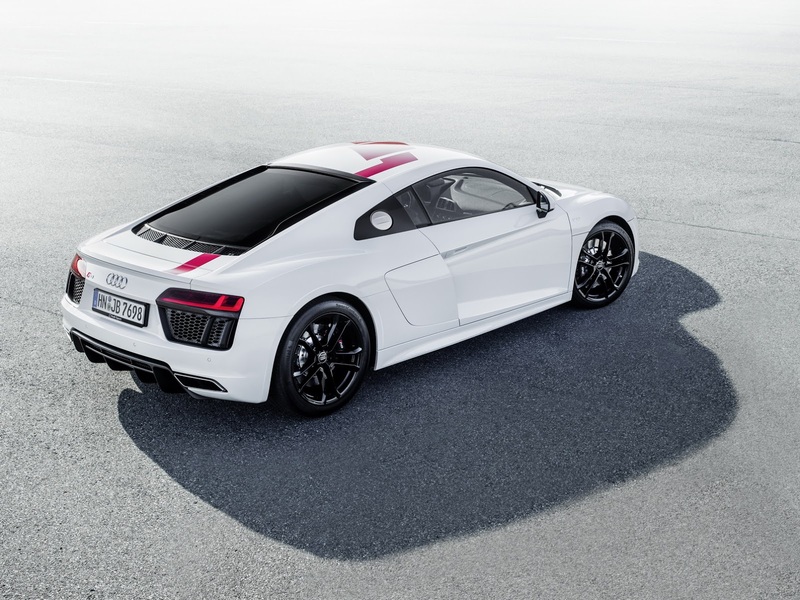 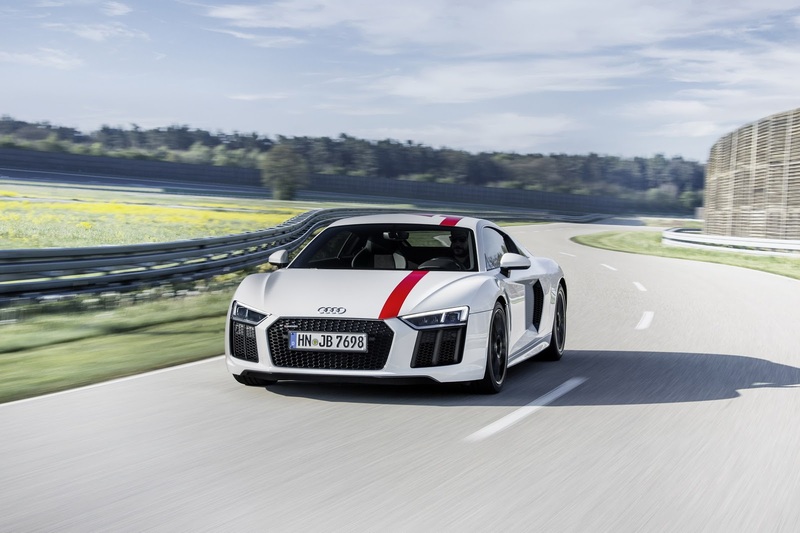 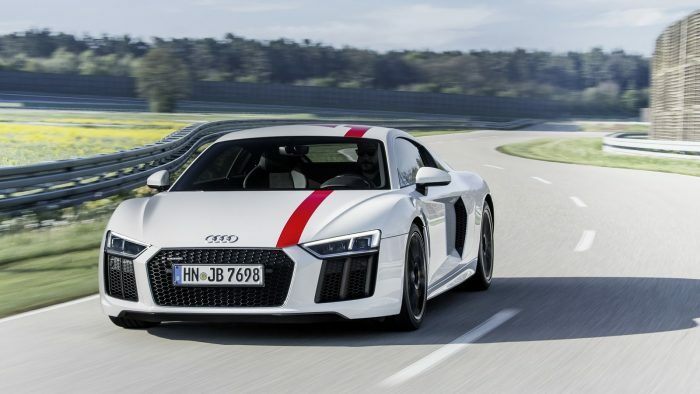 The new Audi R8 RWS also happens to be lighter than the standard R8 V10 Quattro (50 kg or 110.2 lb lighter to be exact). 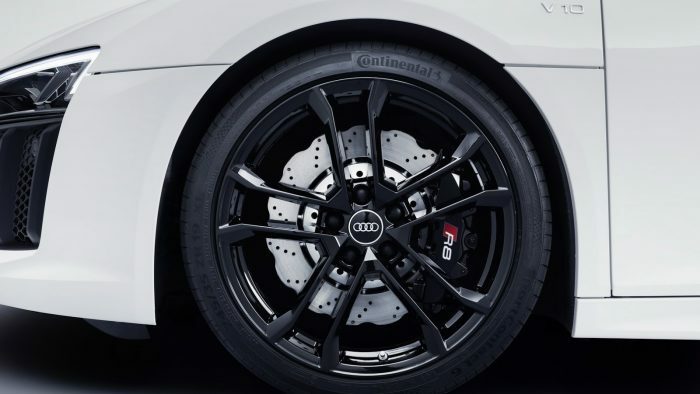 The reduce in weight was made possible by ditching a couple of things like the propshaft, multi-plate clutch and center differential. 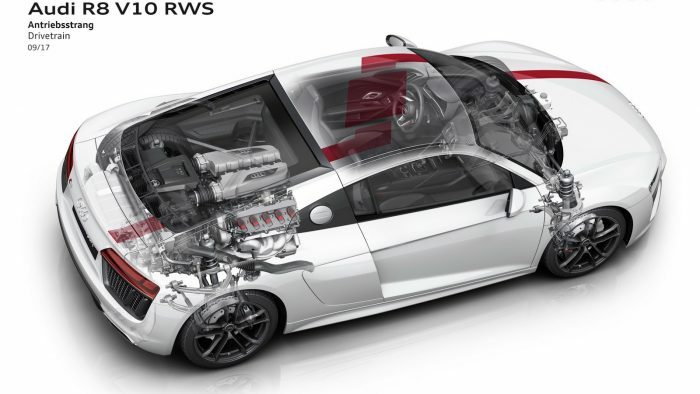 This gives the new car a weight of is also 1,590 kg (3,505 lbs) not counting the driver. 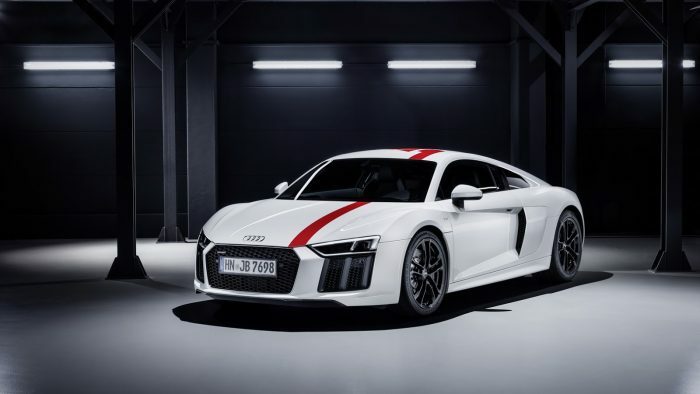 Audi also announced that they will be only making 999 units of the R8 RWS, with each of them costing you around £110,000 in UK and $144k for US.